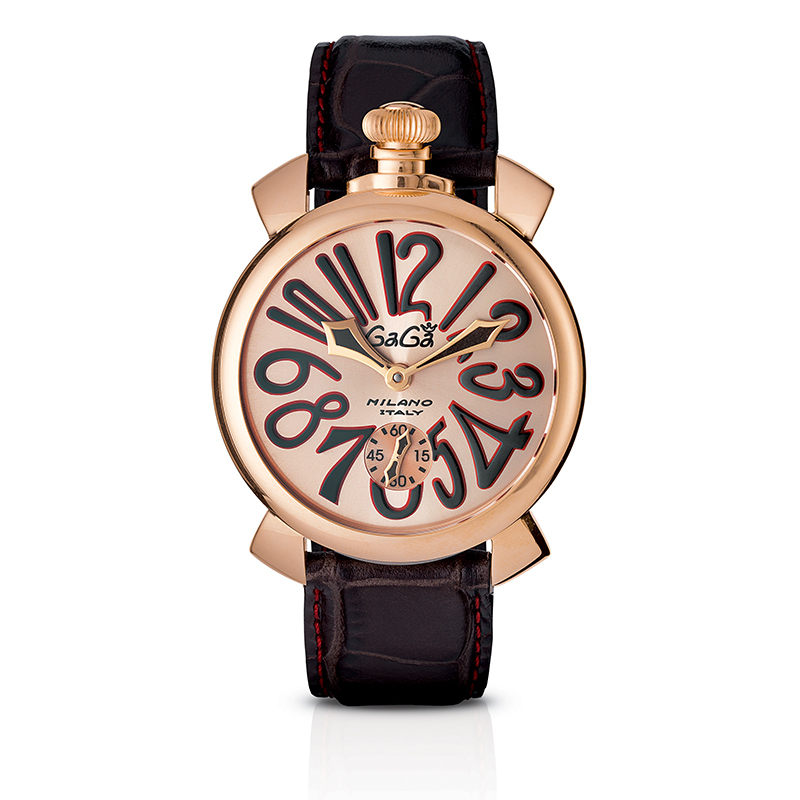 The first Manually-Wound collection developed by Gagà Milano. 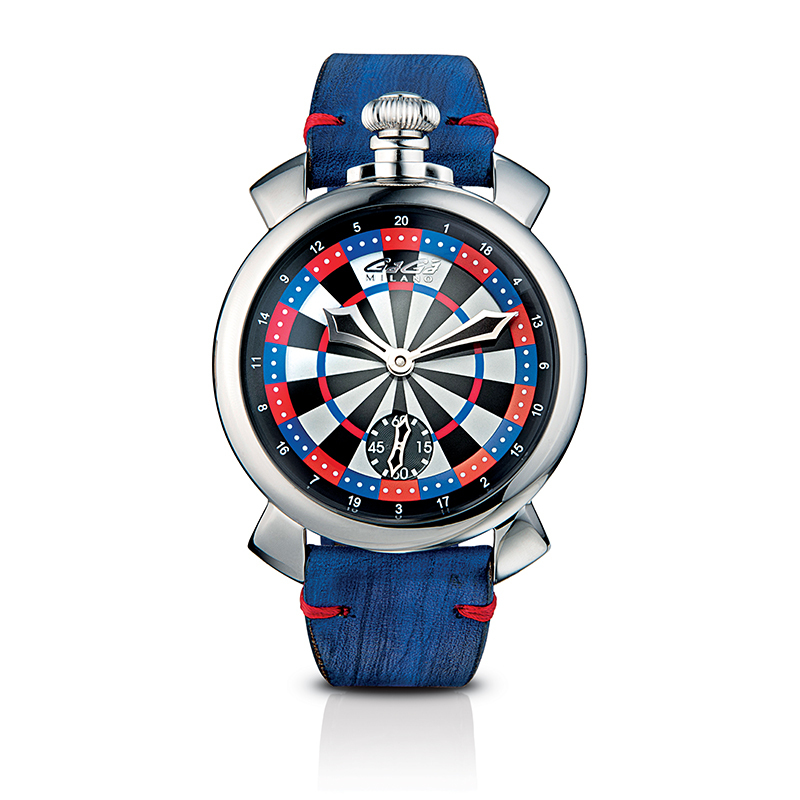 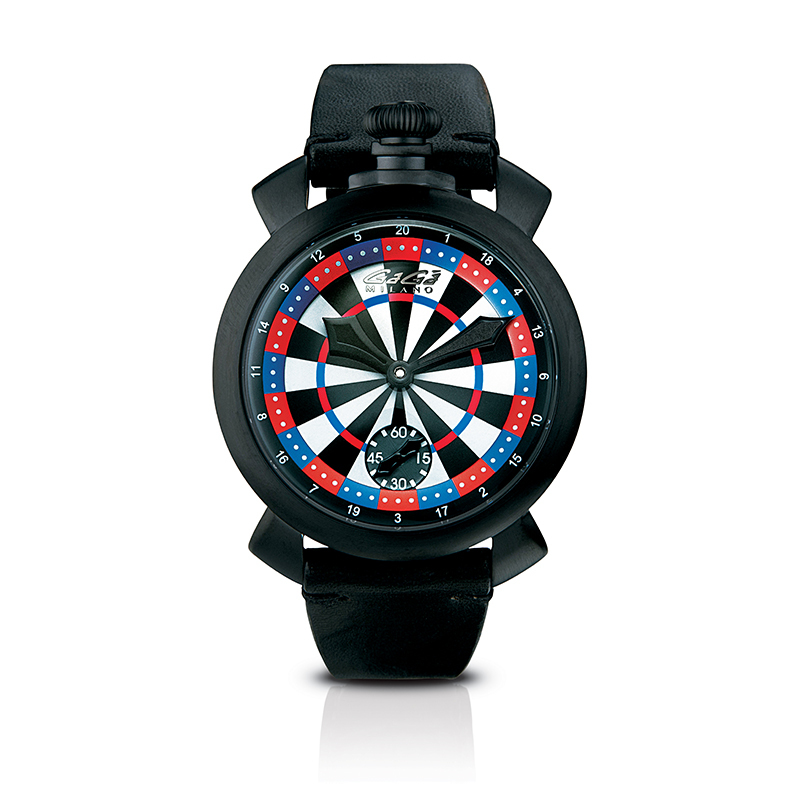 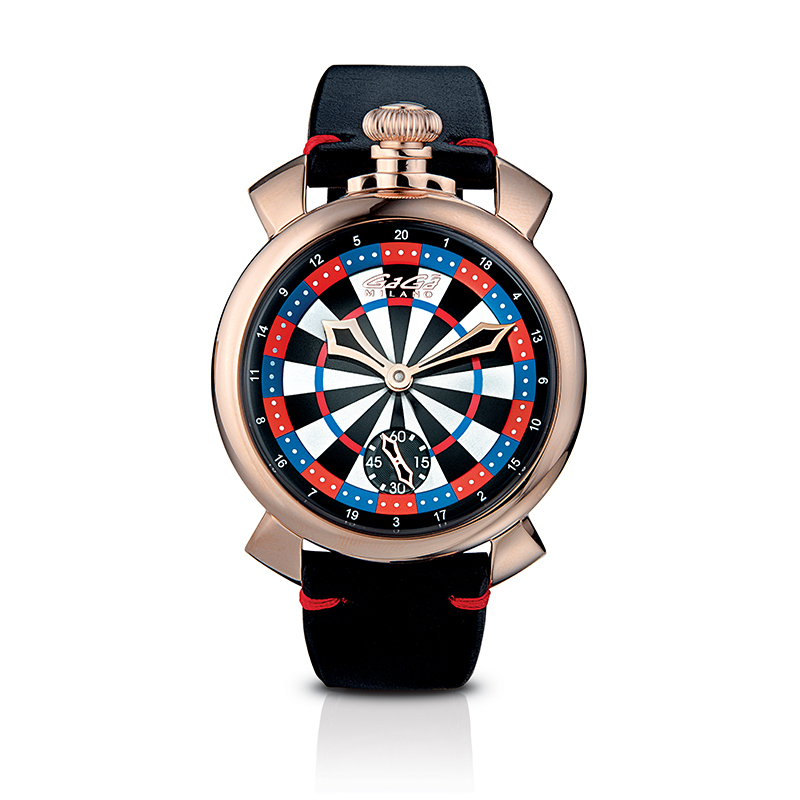 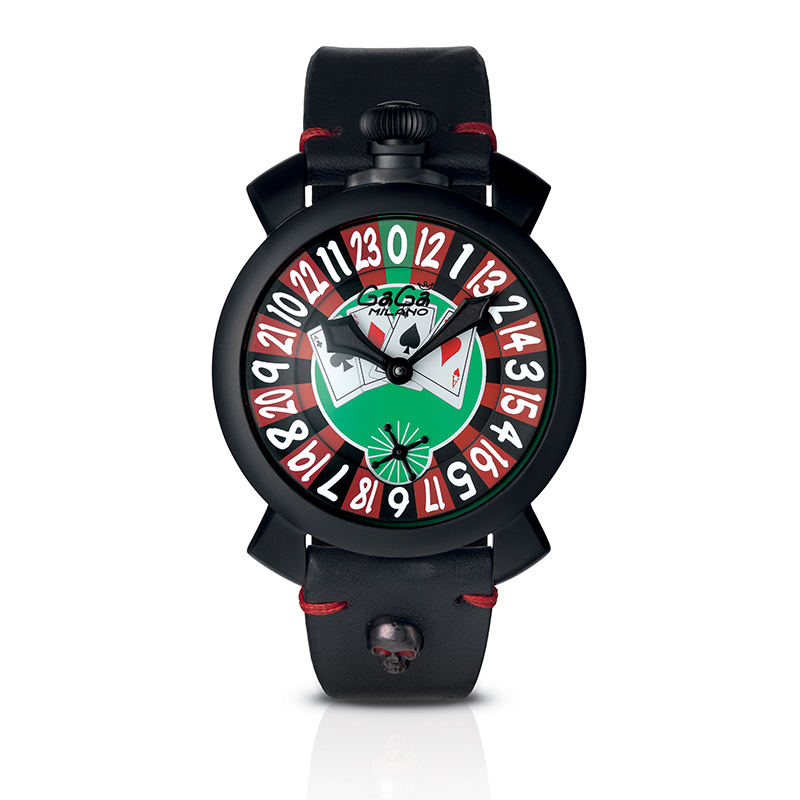 A unique contemporary object that combine innovation, tradition, elegance, humor, game and luxury. 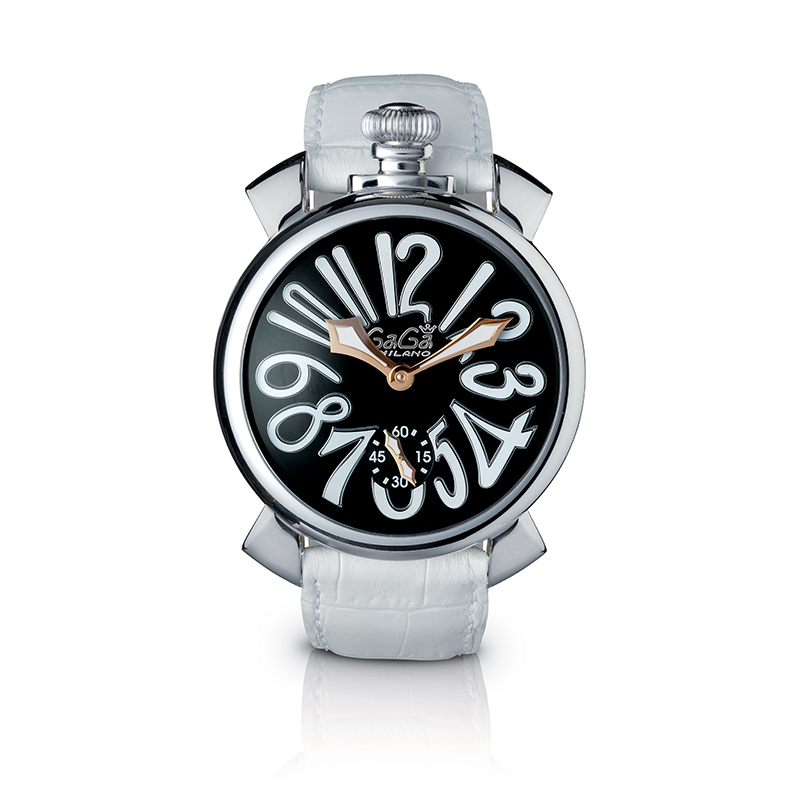 A strong, distinctive look that steers clear of all compromises. 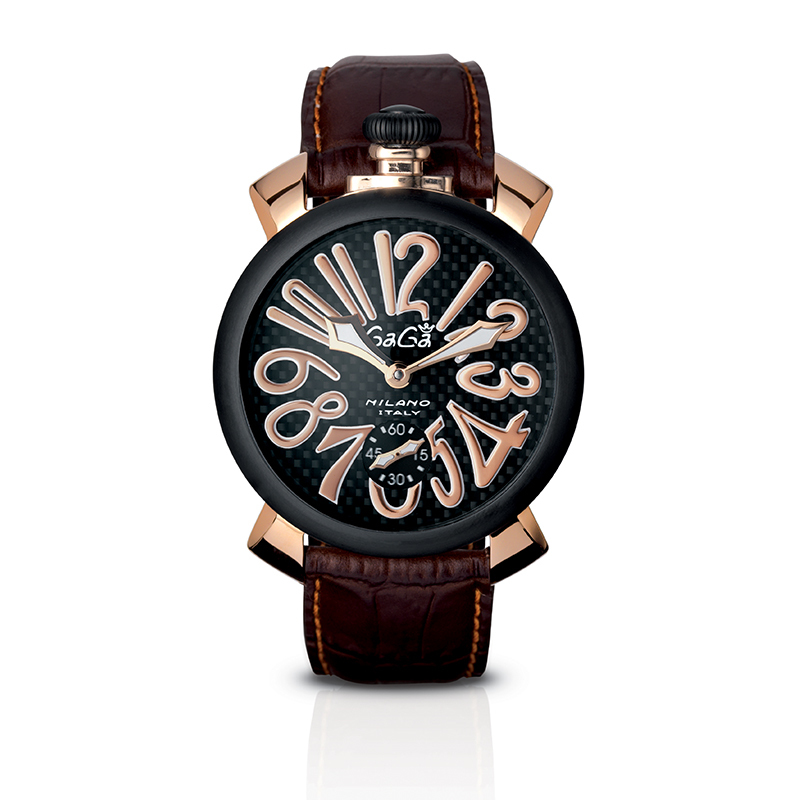 A combination of materials of unmistakable personality: from the shiny steel case to the rose gold plated, from the elegant solid black pvd to carbon fibre dial and ring. 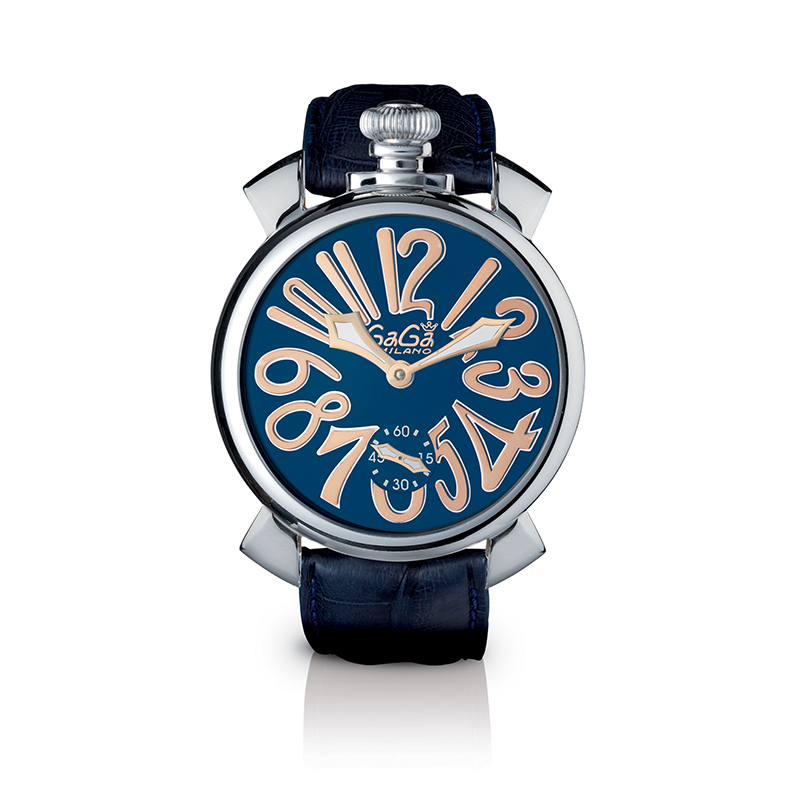 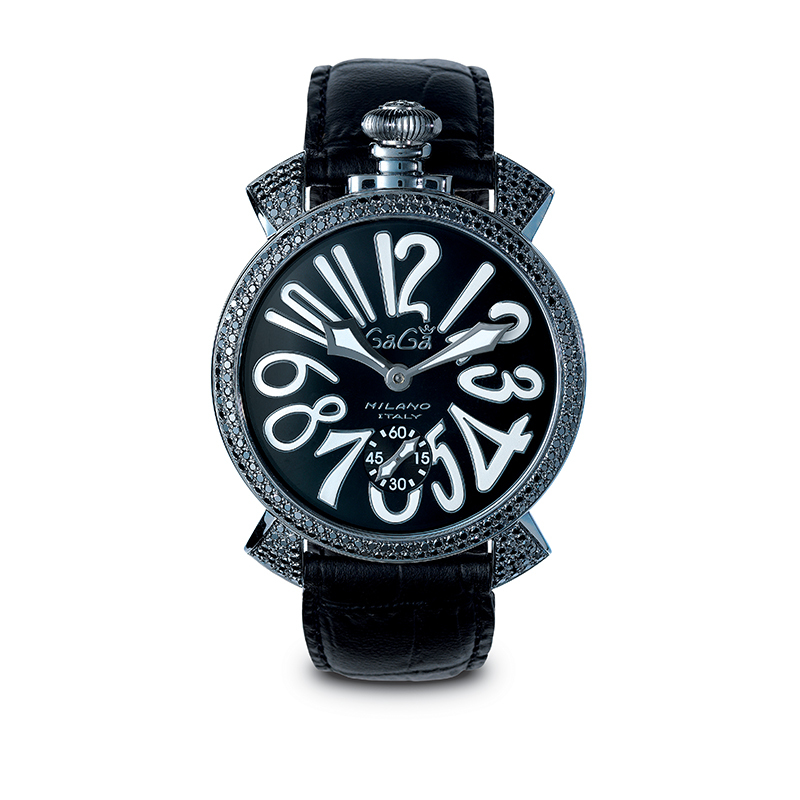 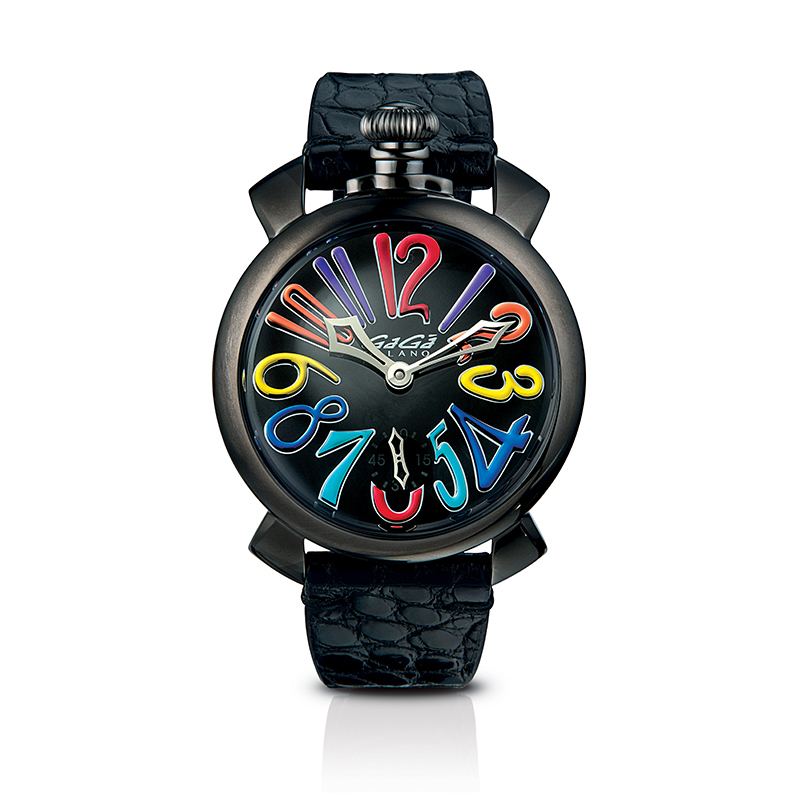 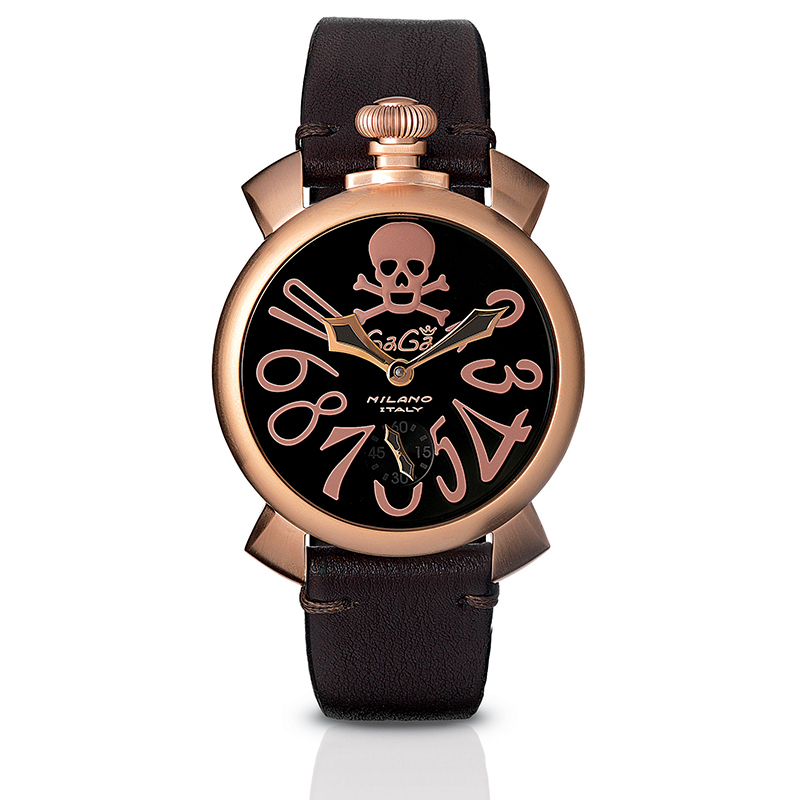 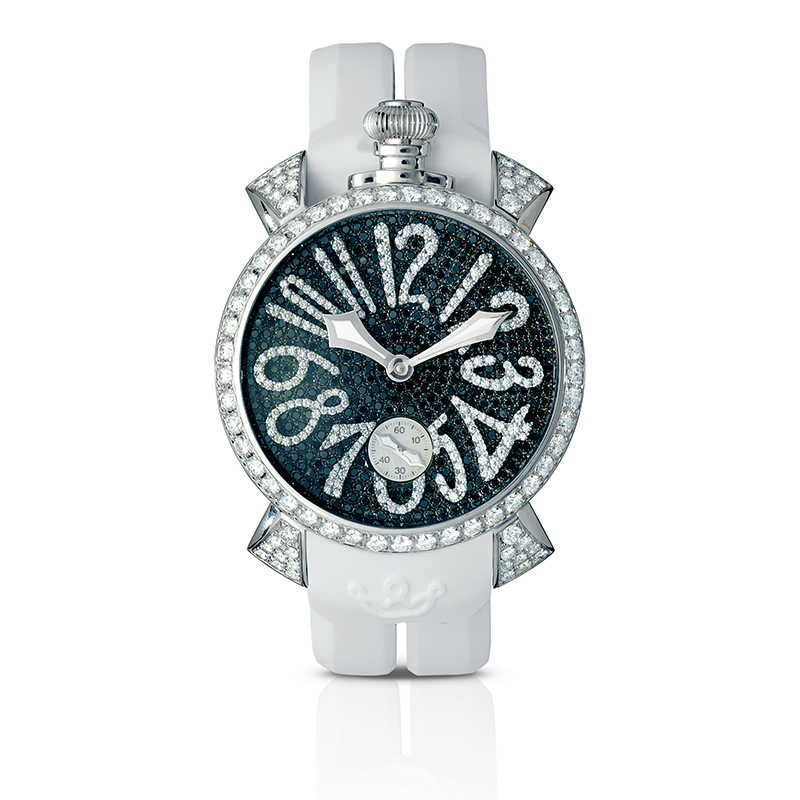 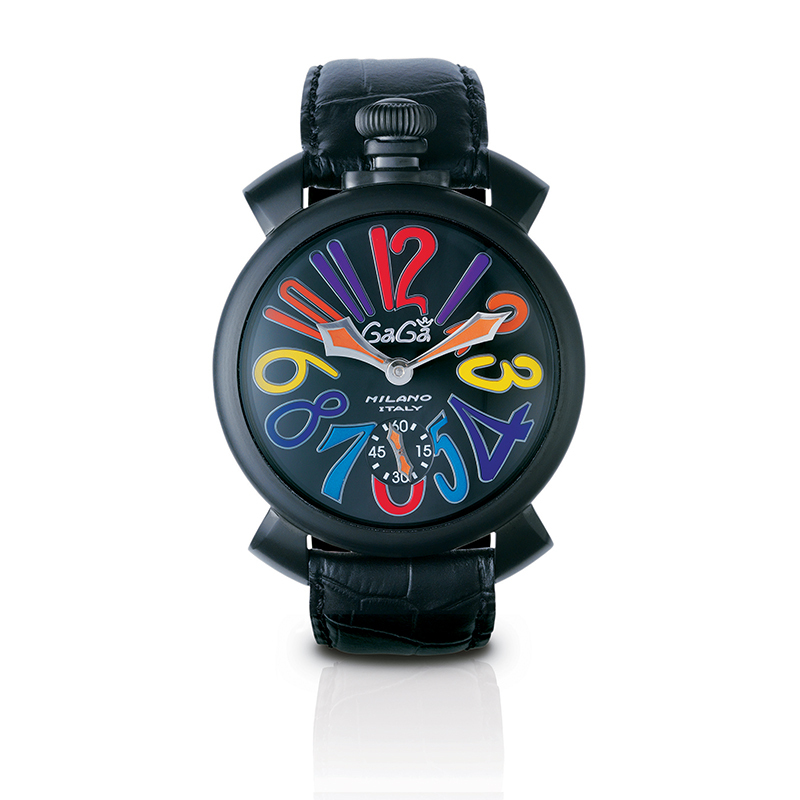 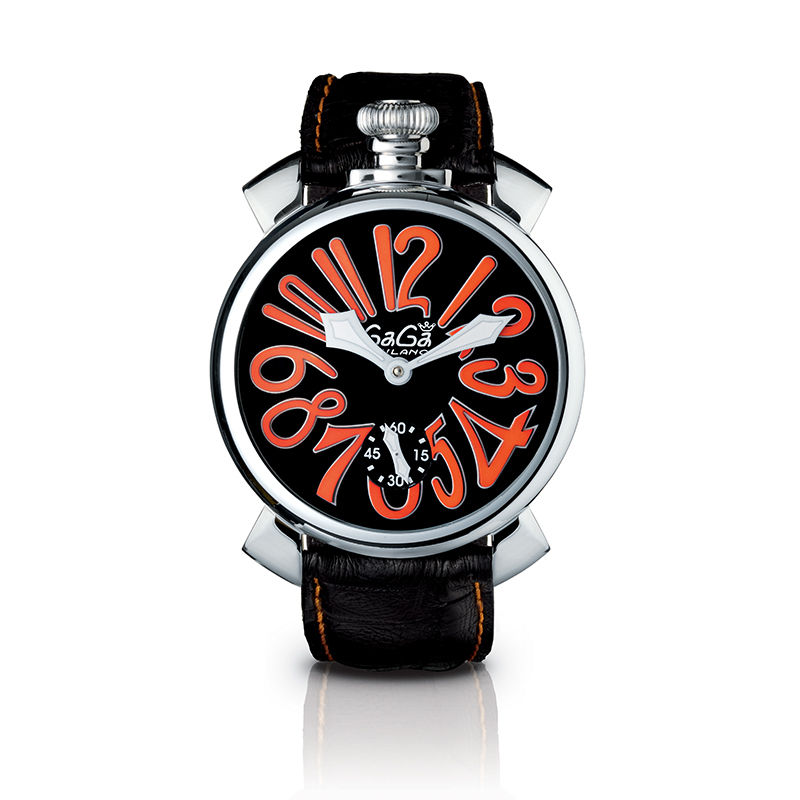 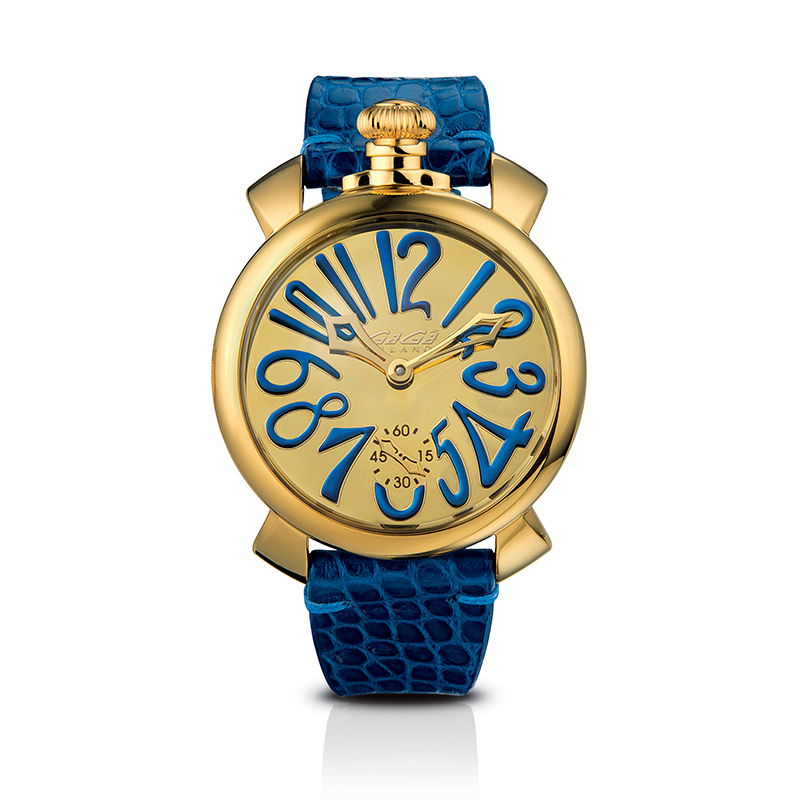 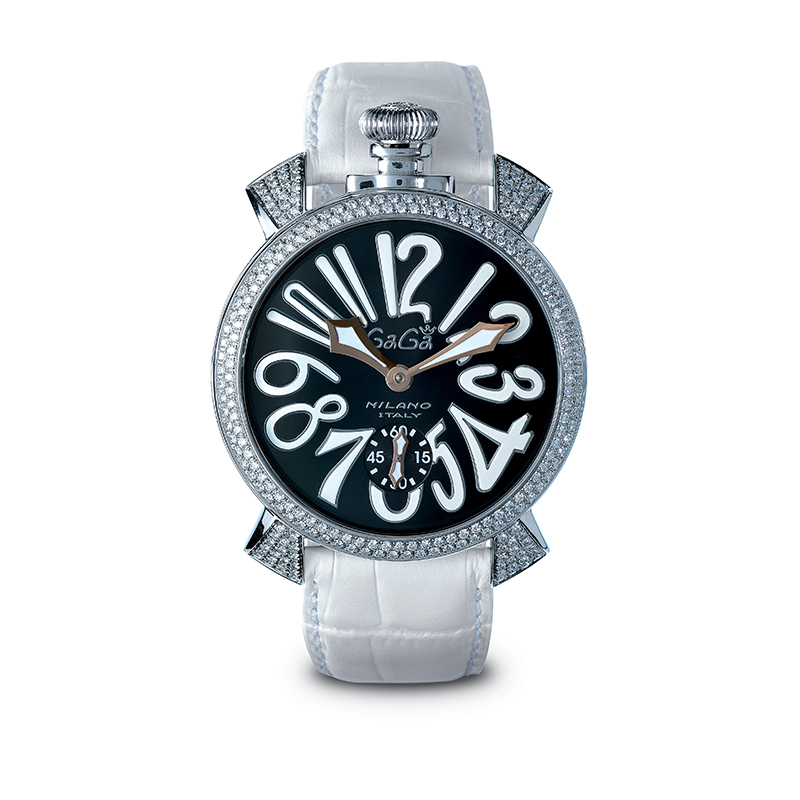 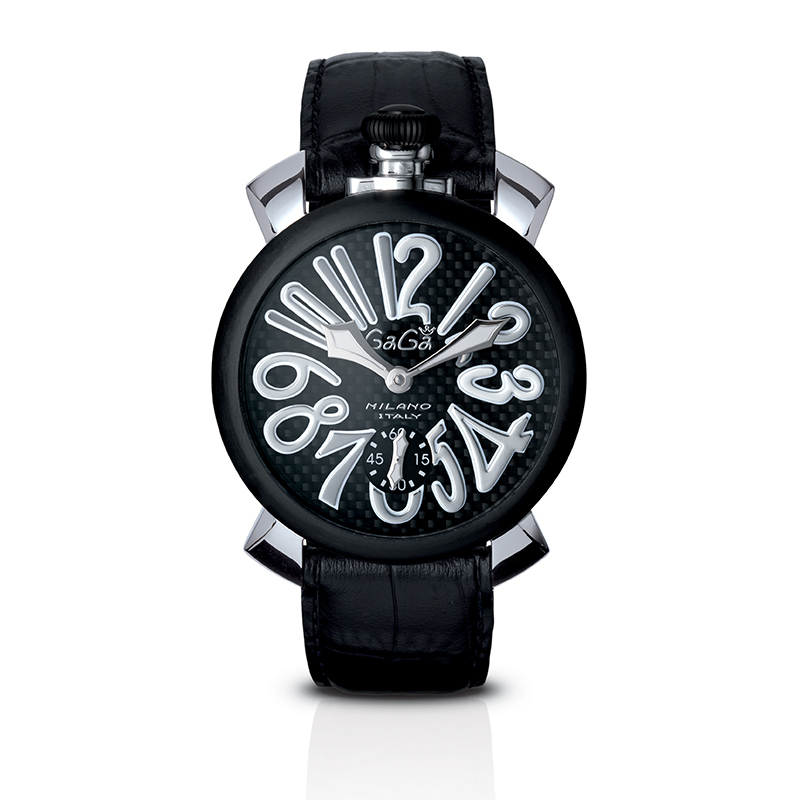 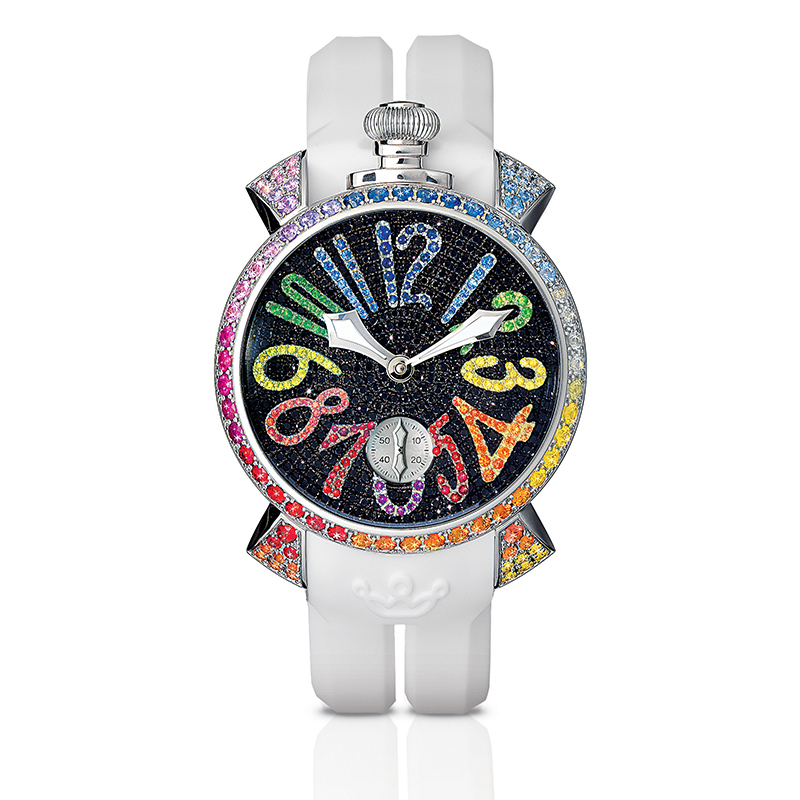 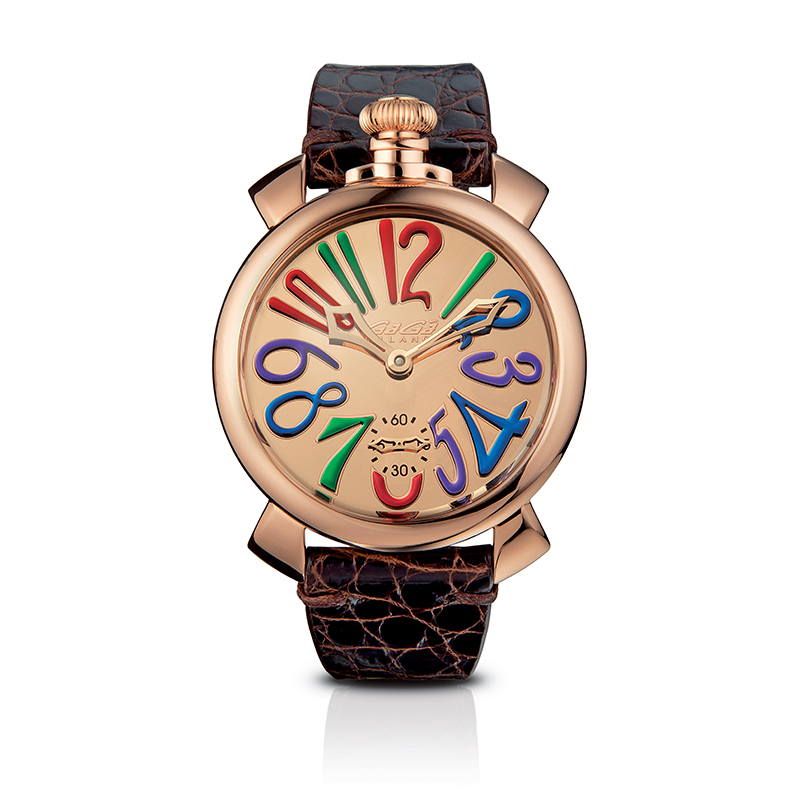 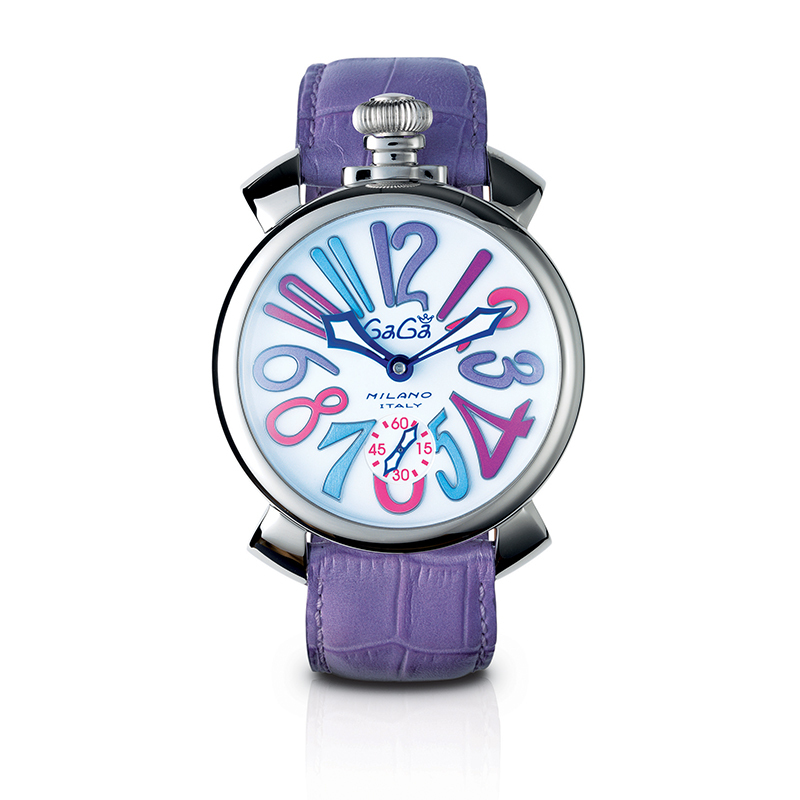 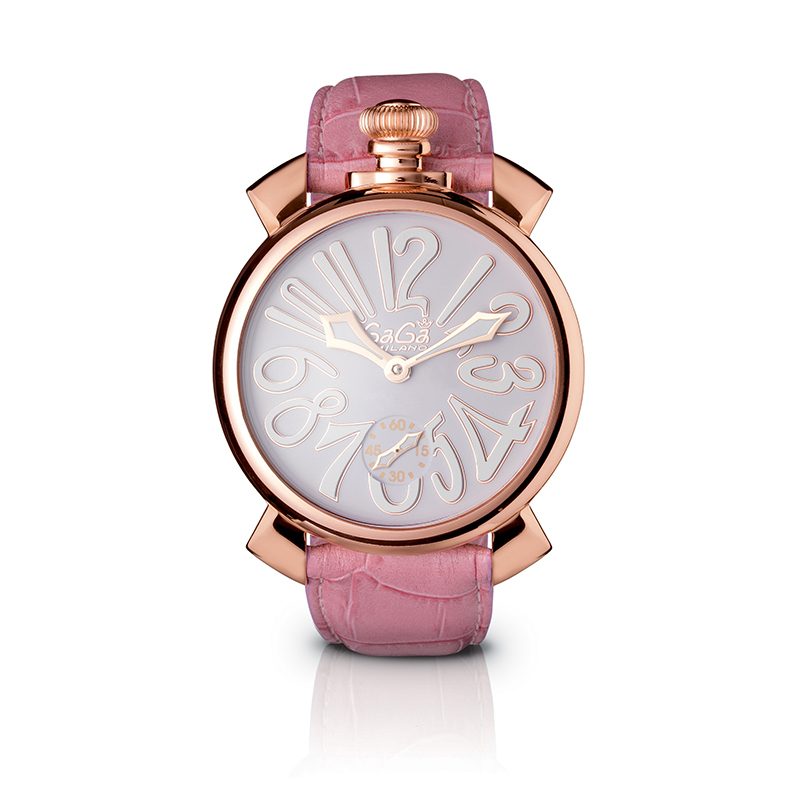 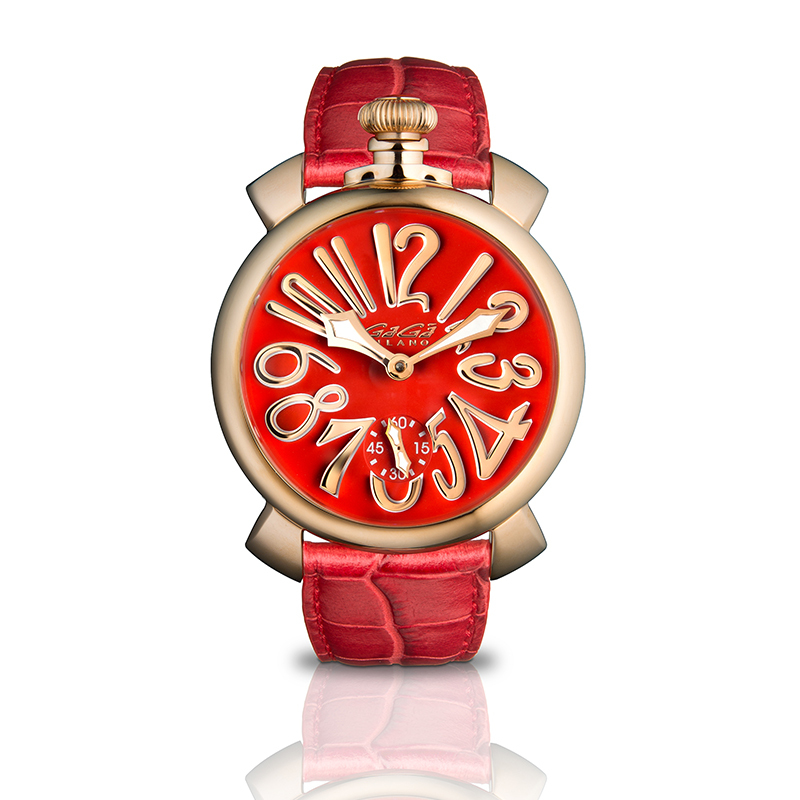 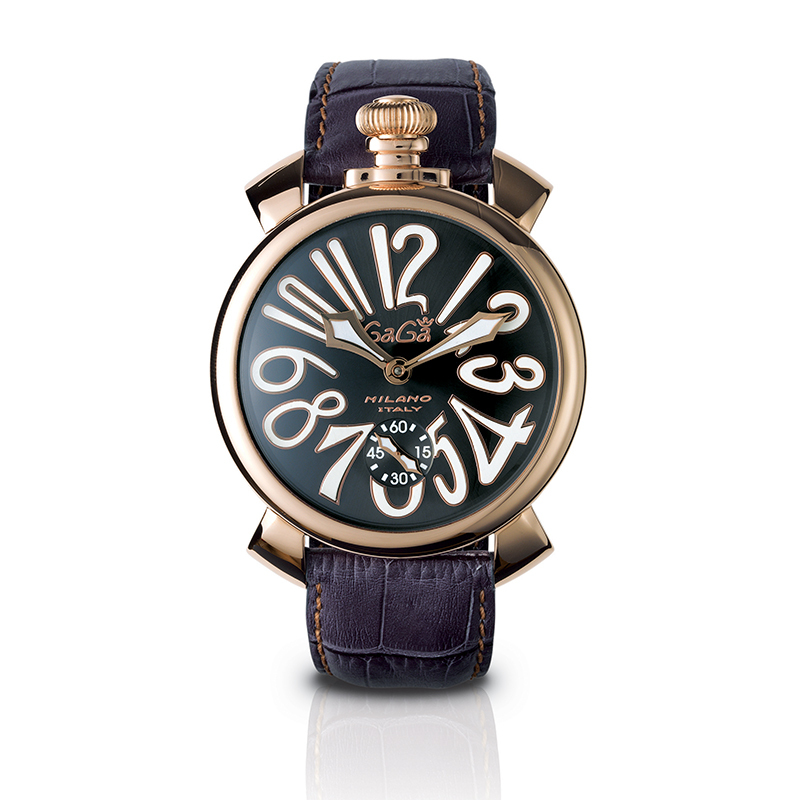 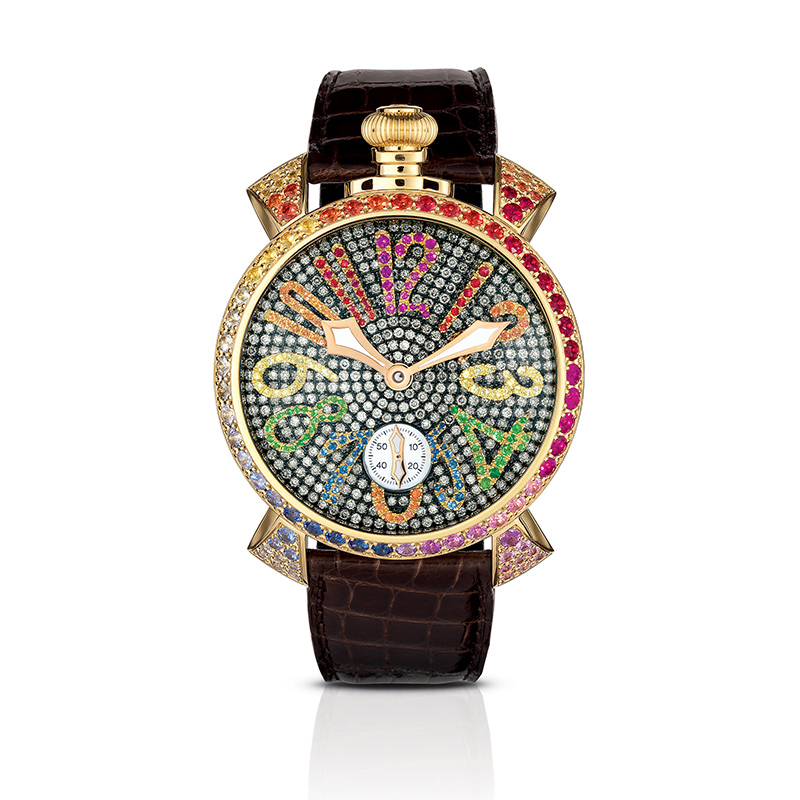 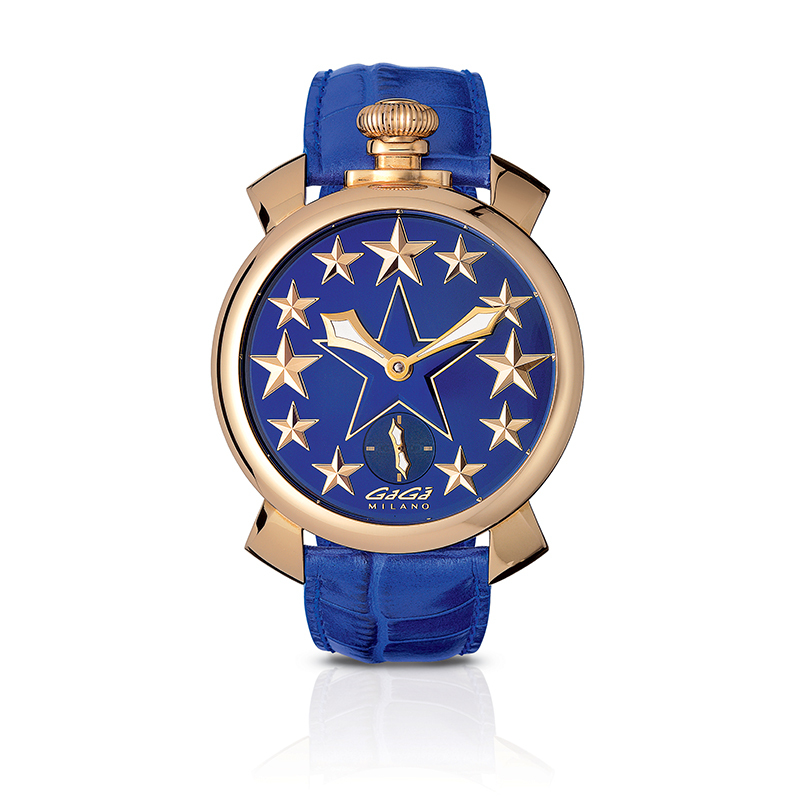 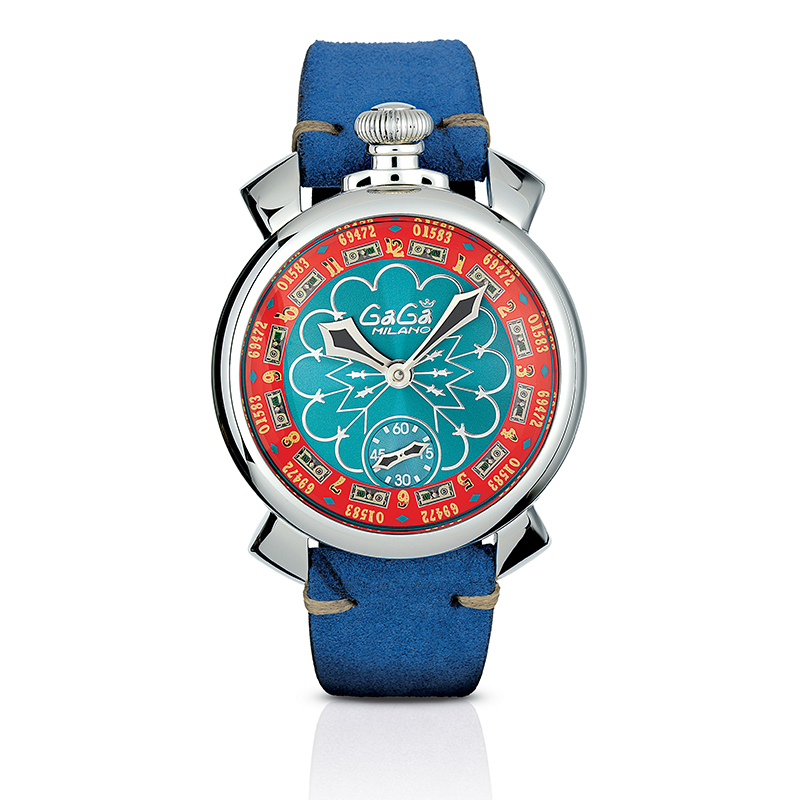 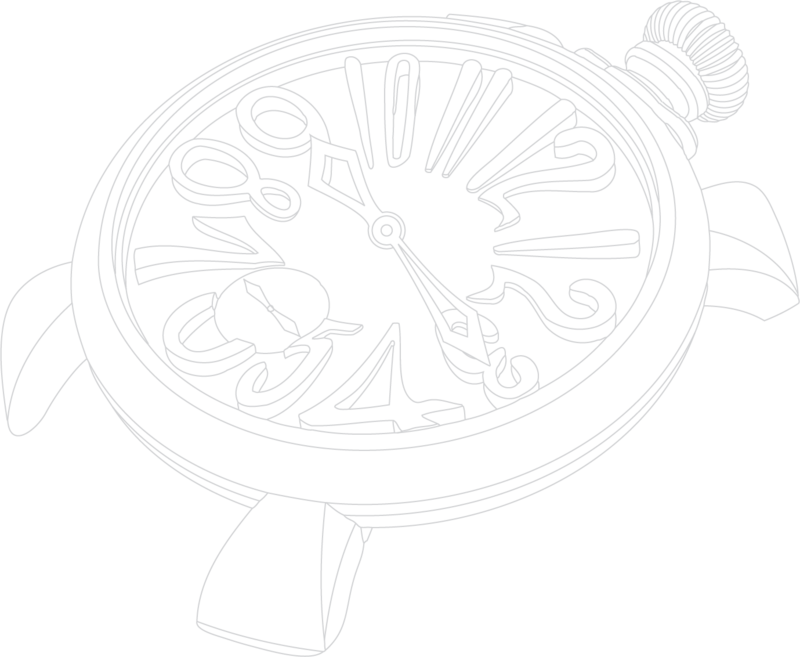 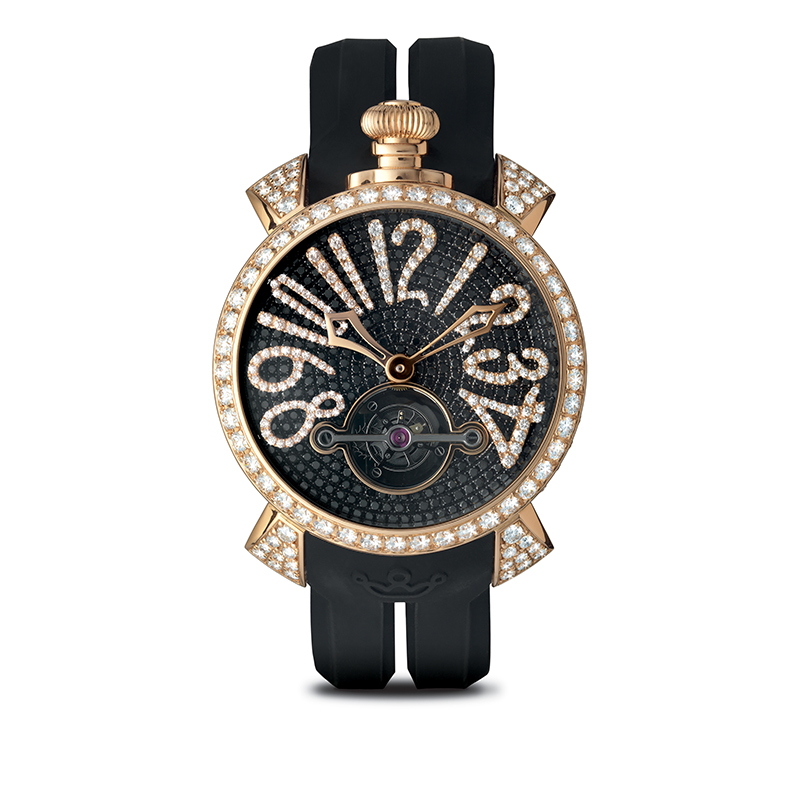 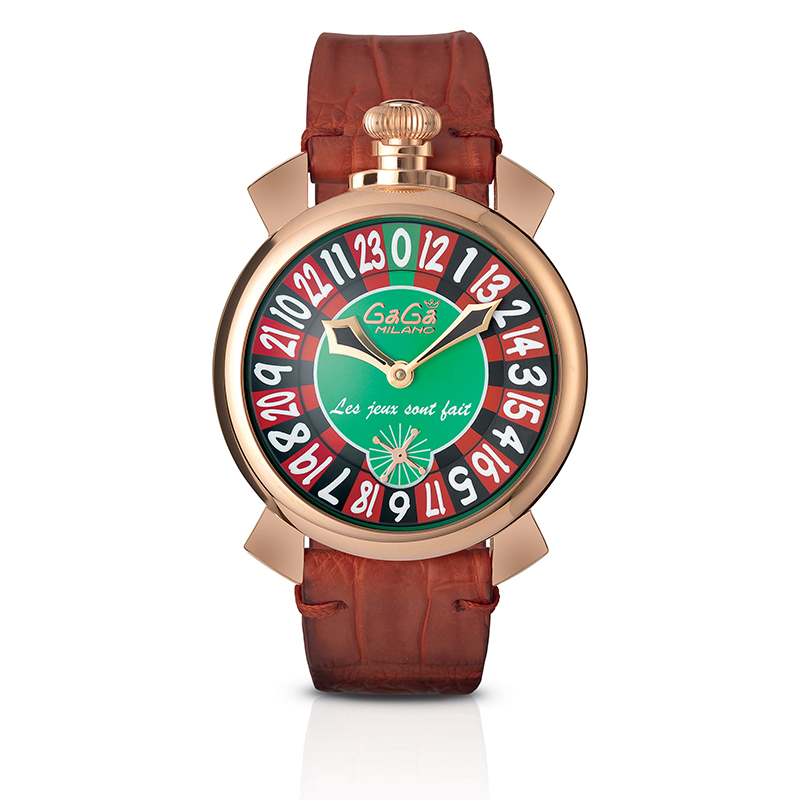 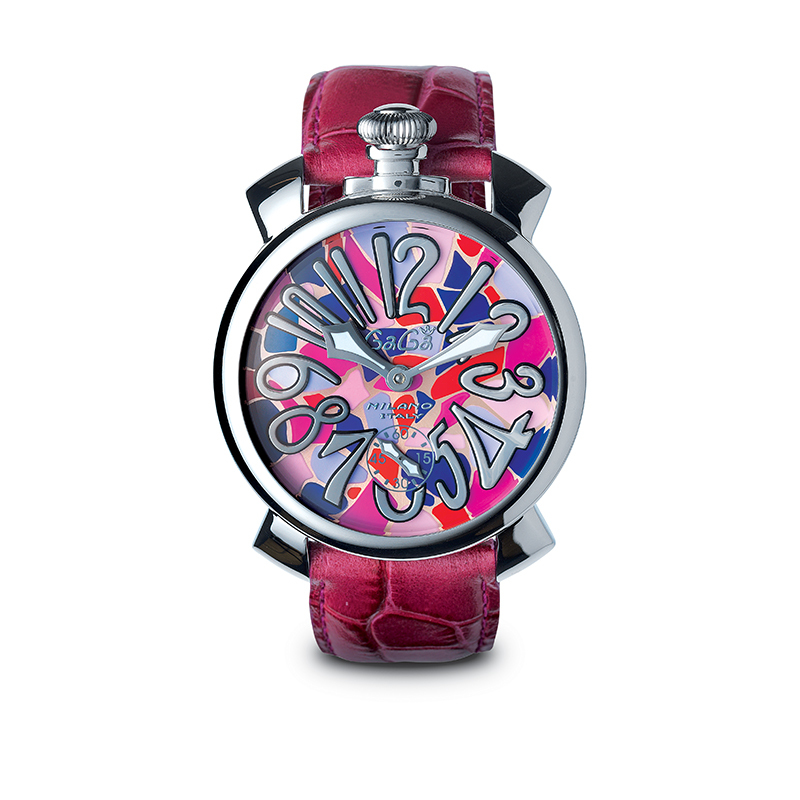 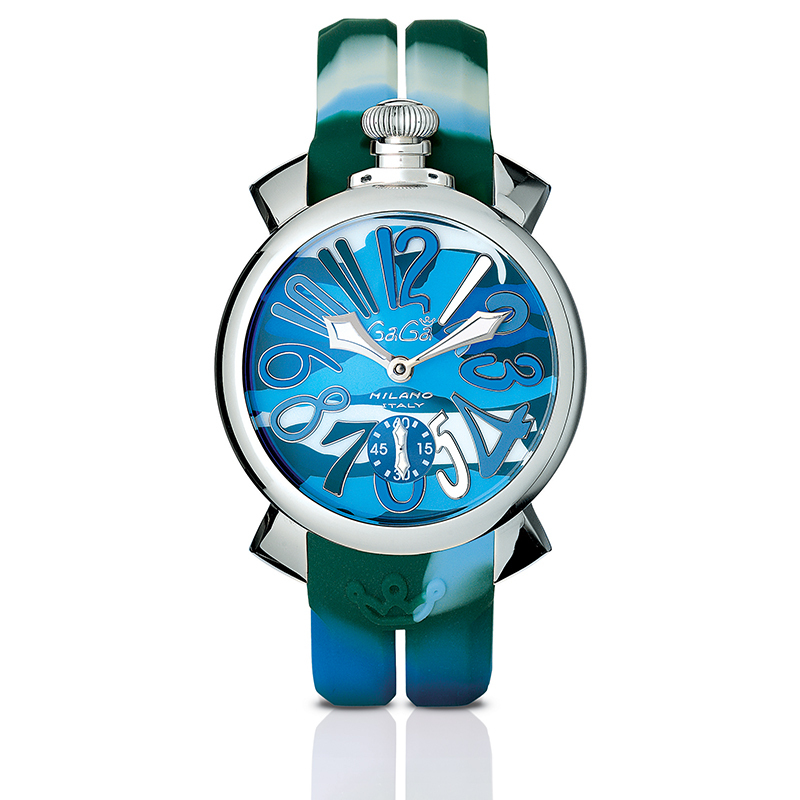 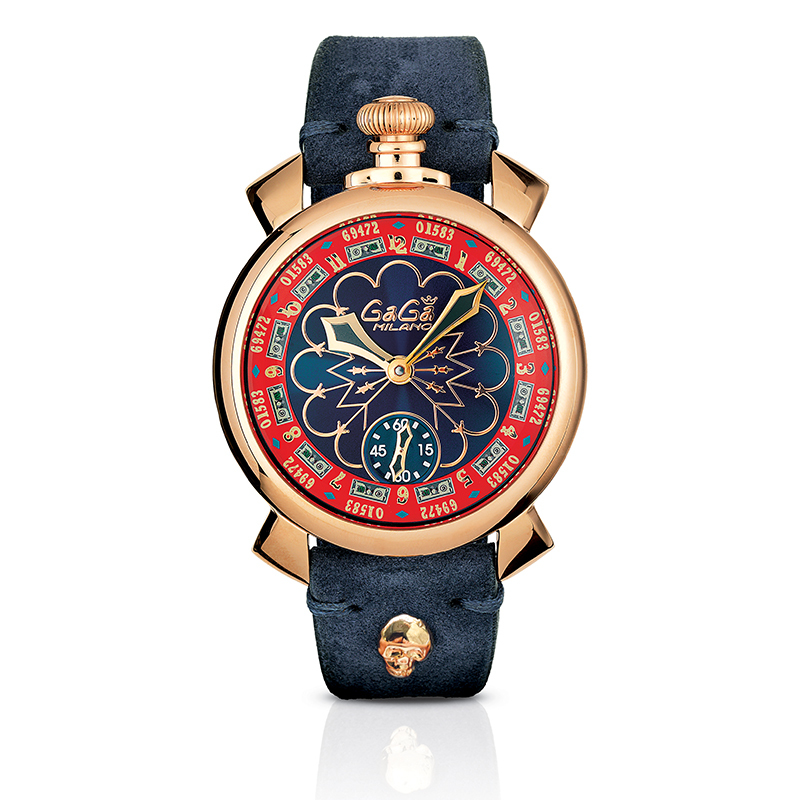 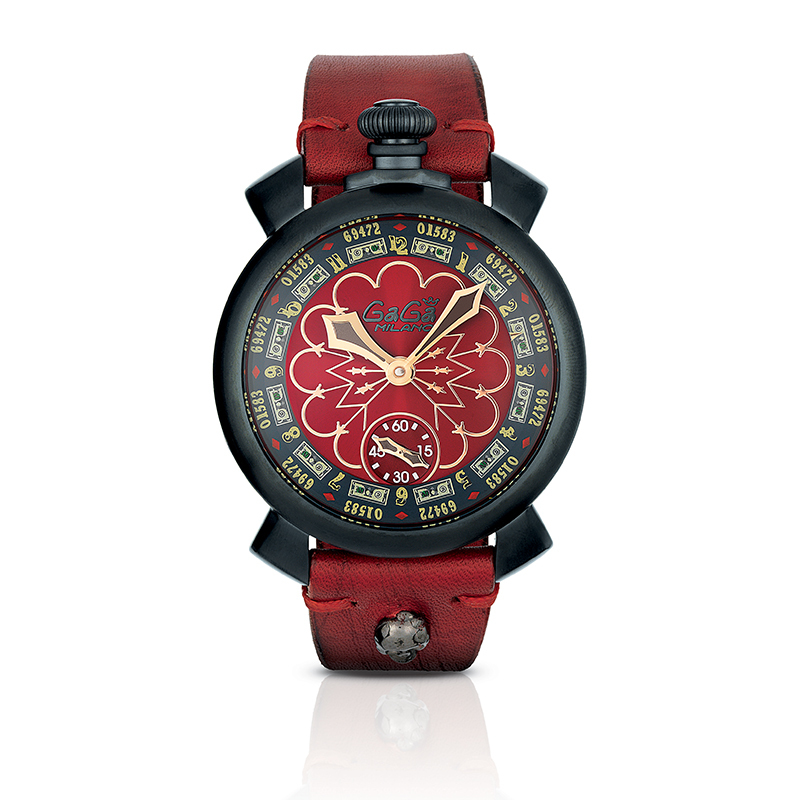 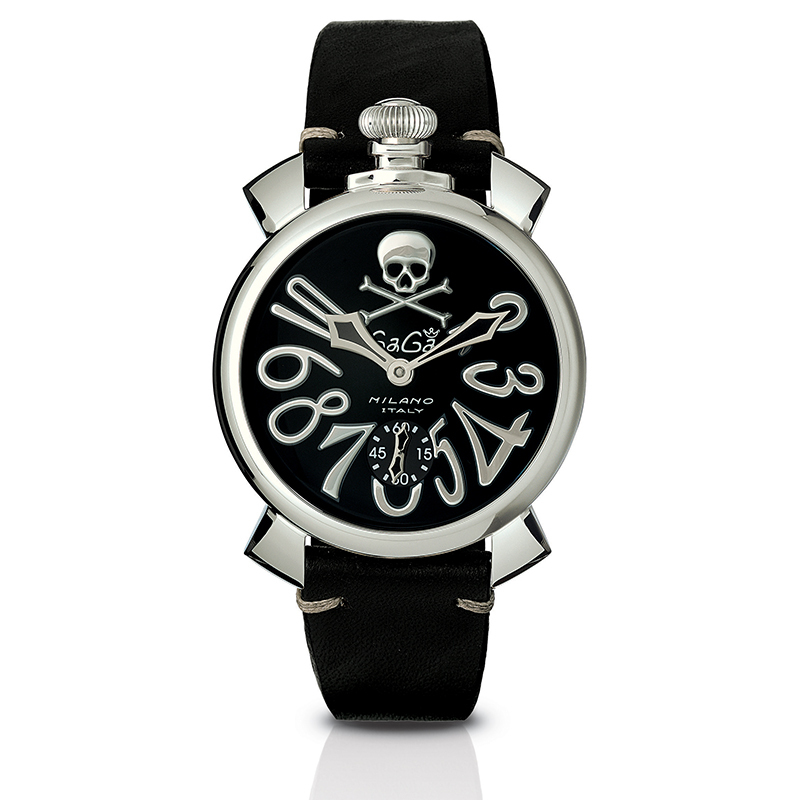 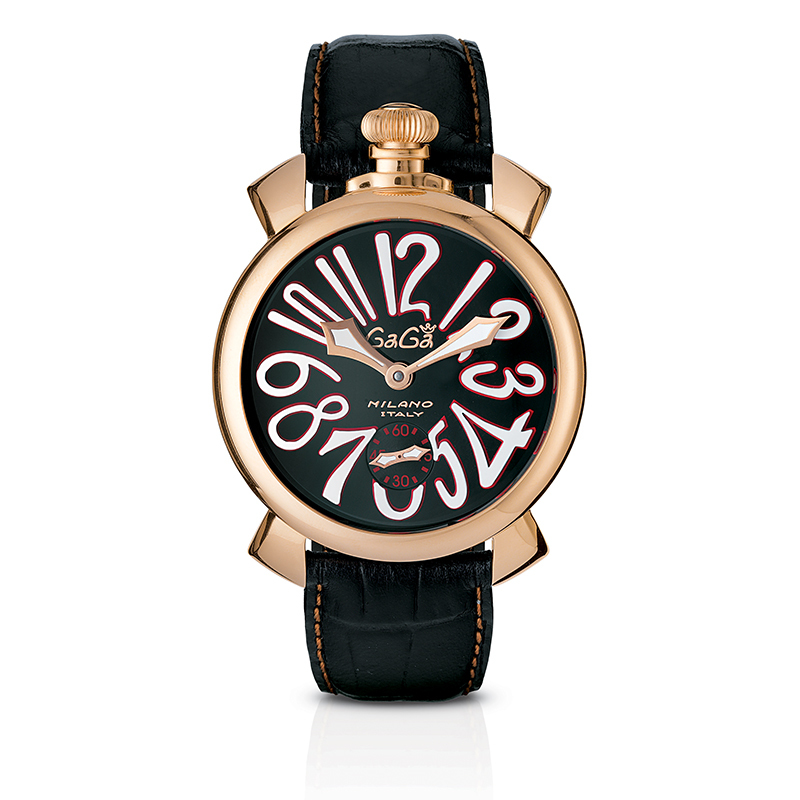 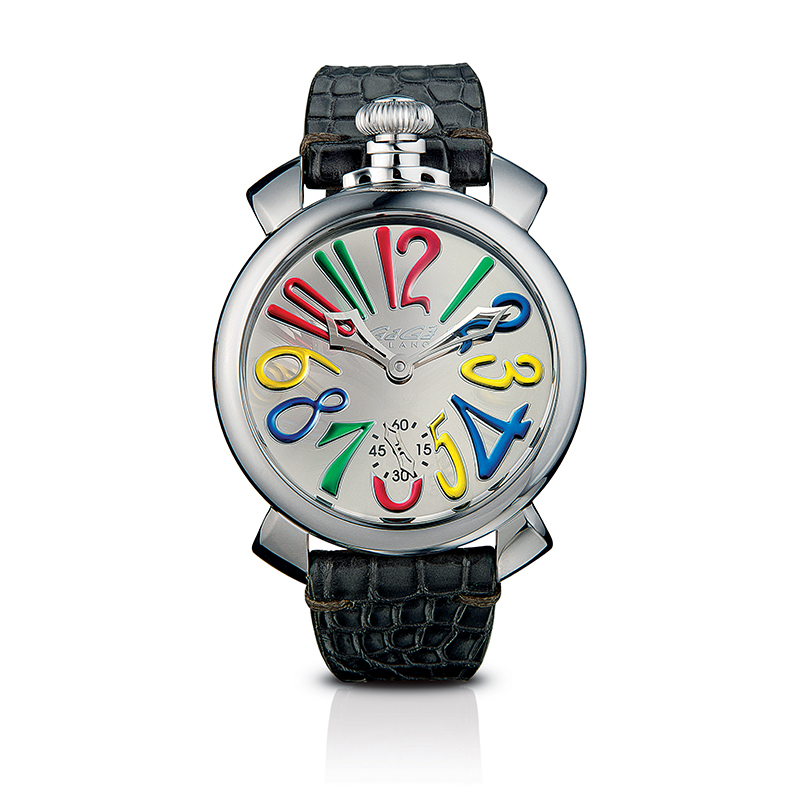 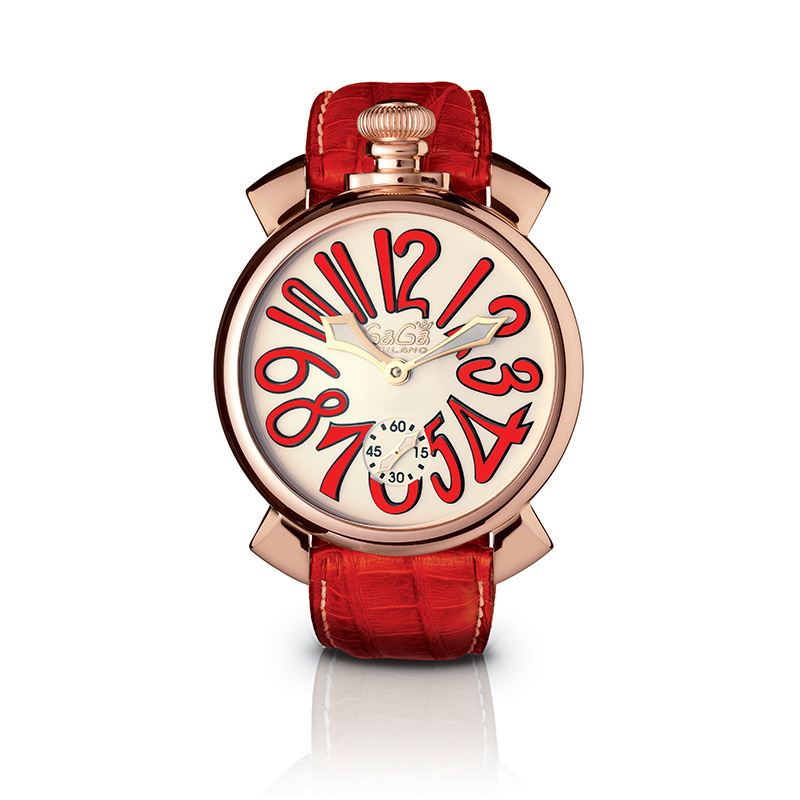 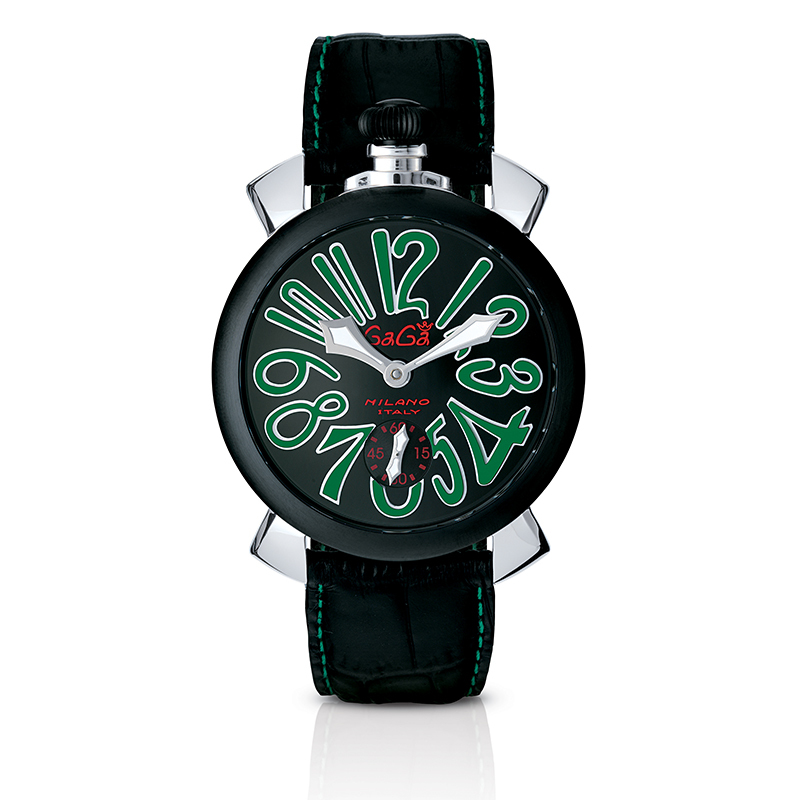 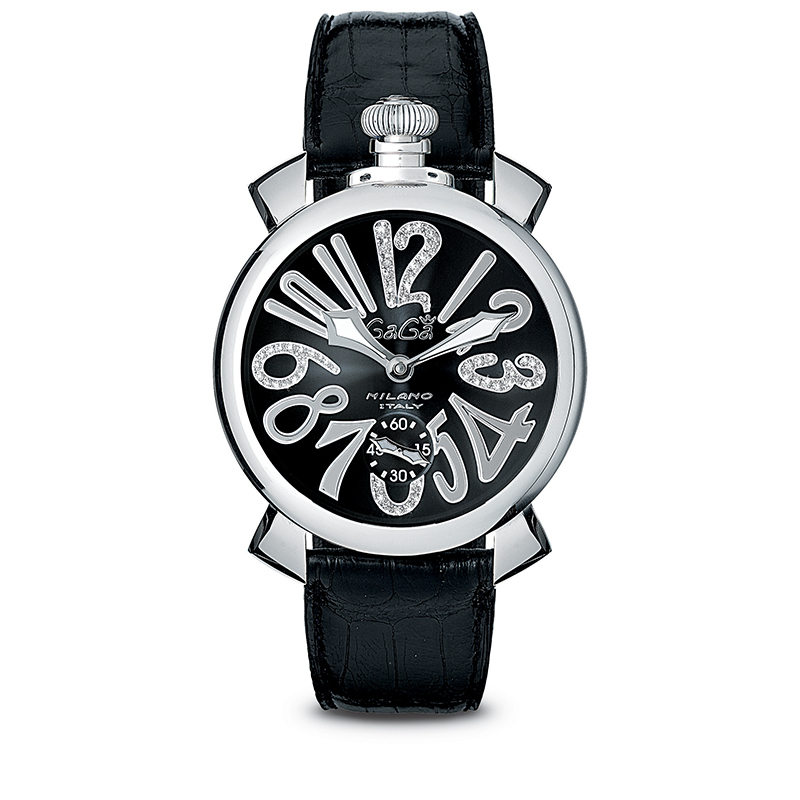 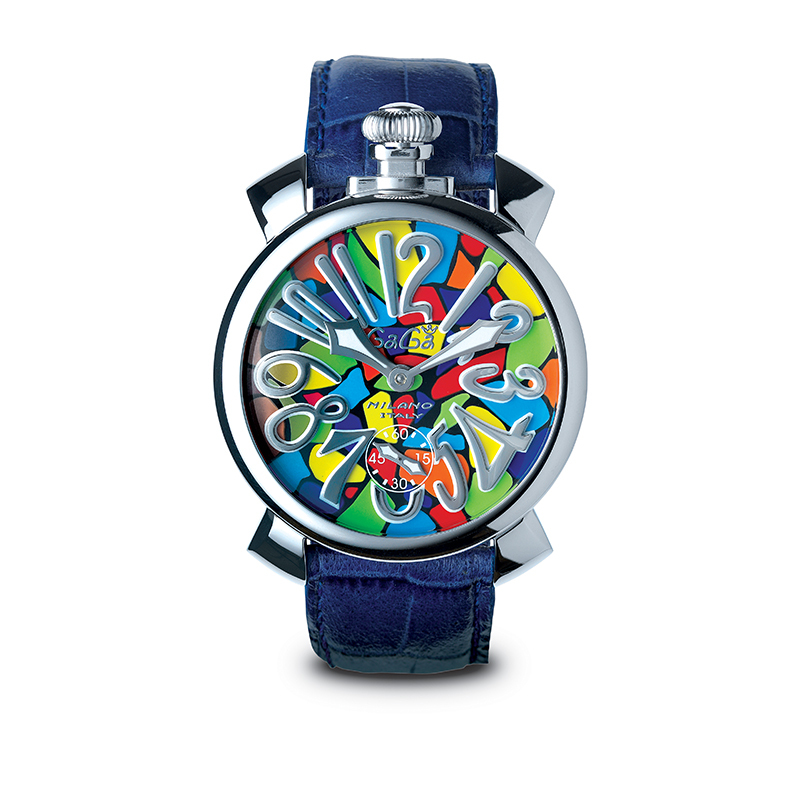 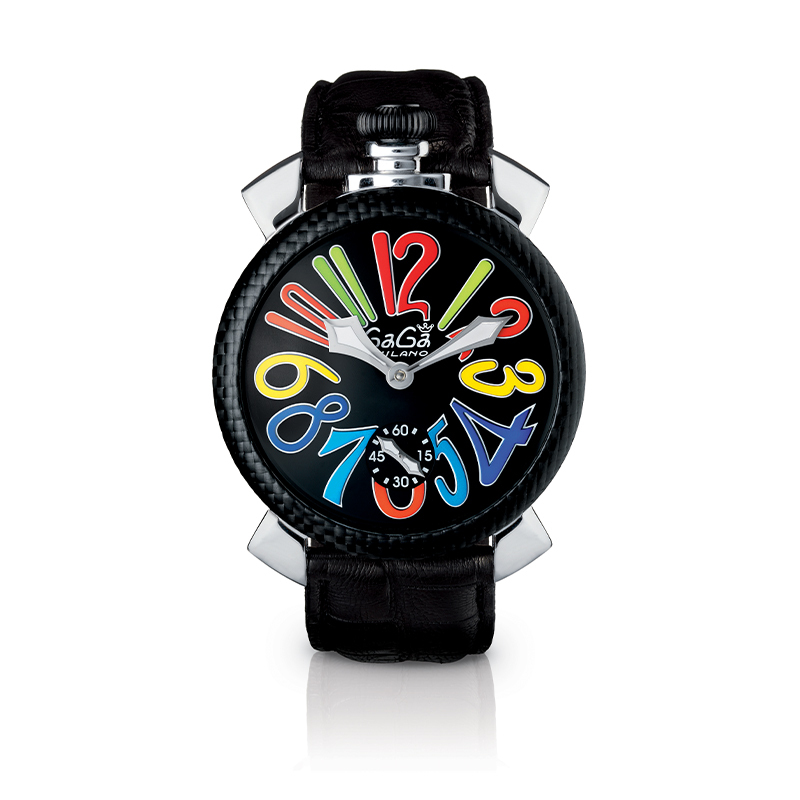 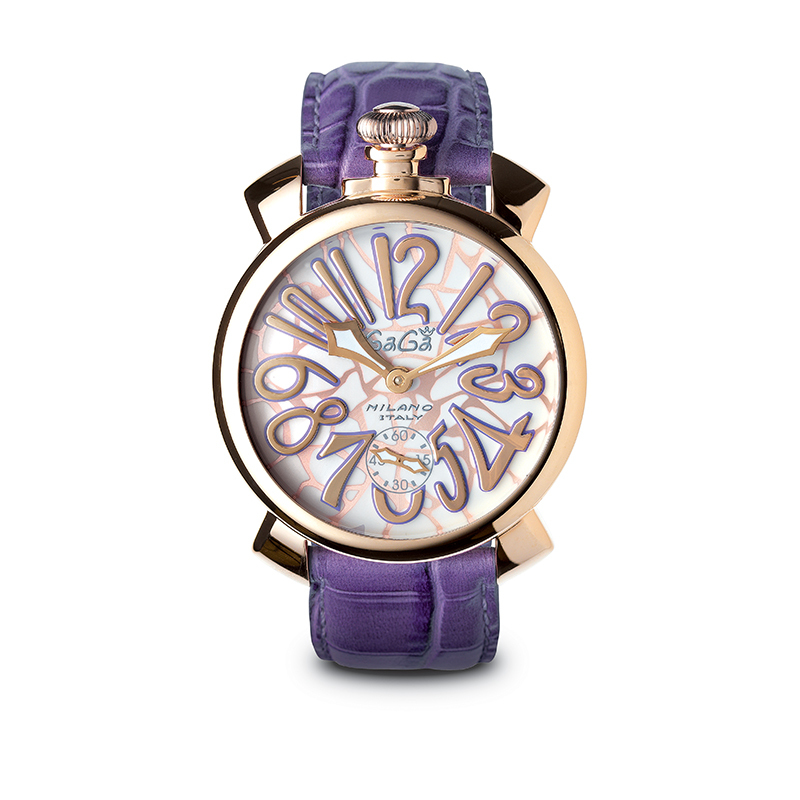 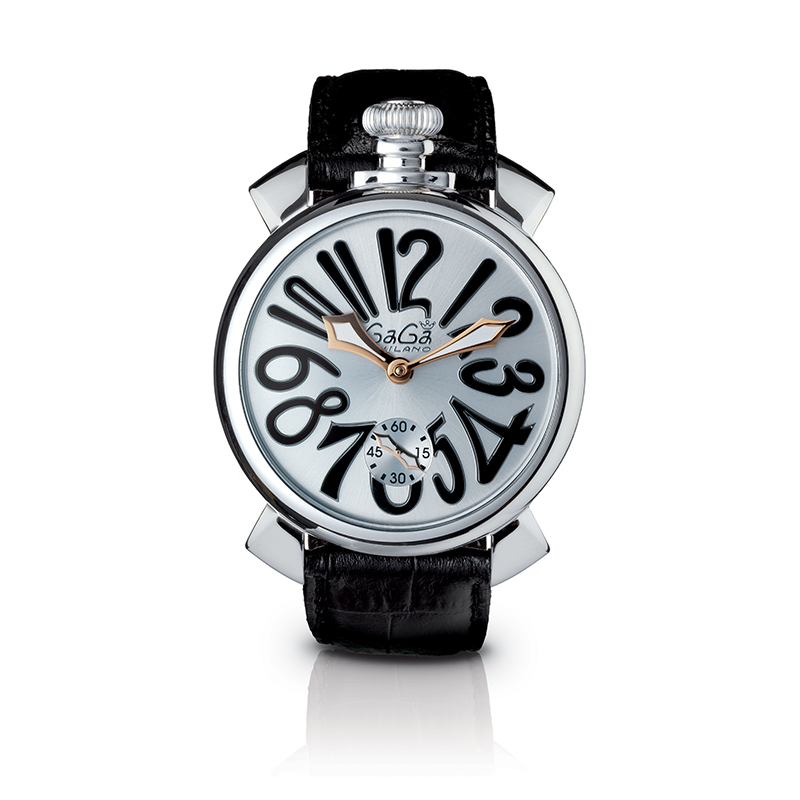 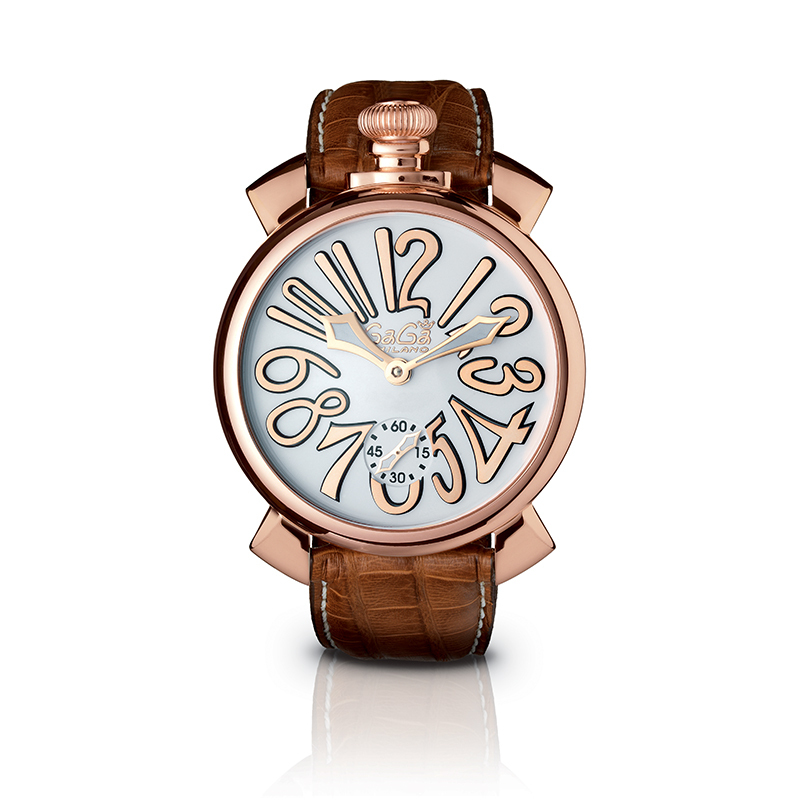 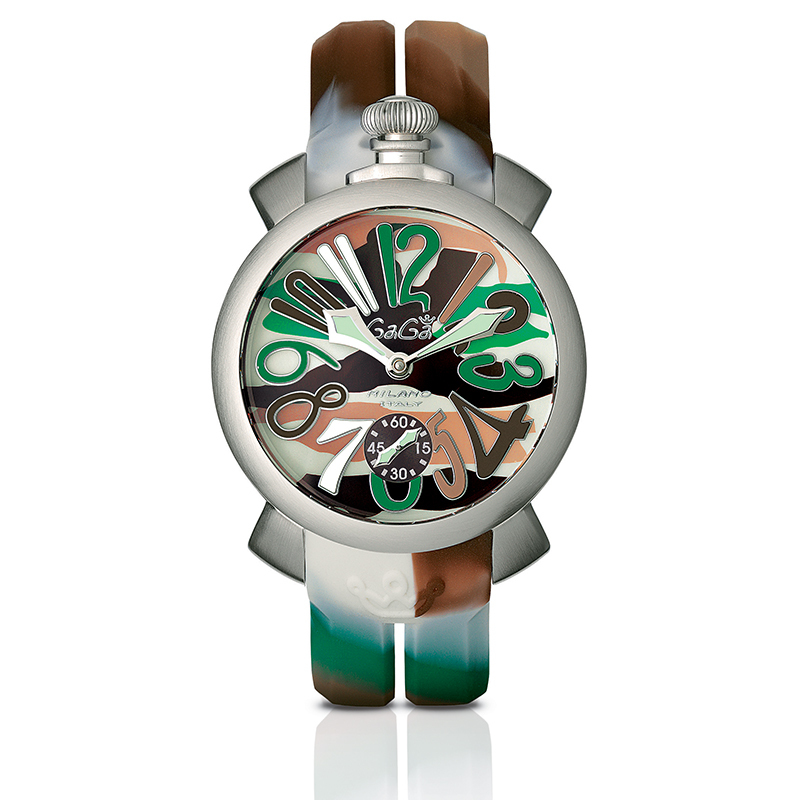 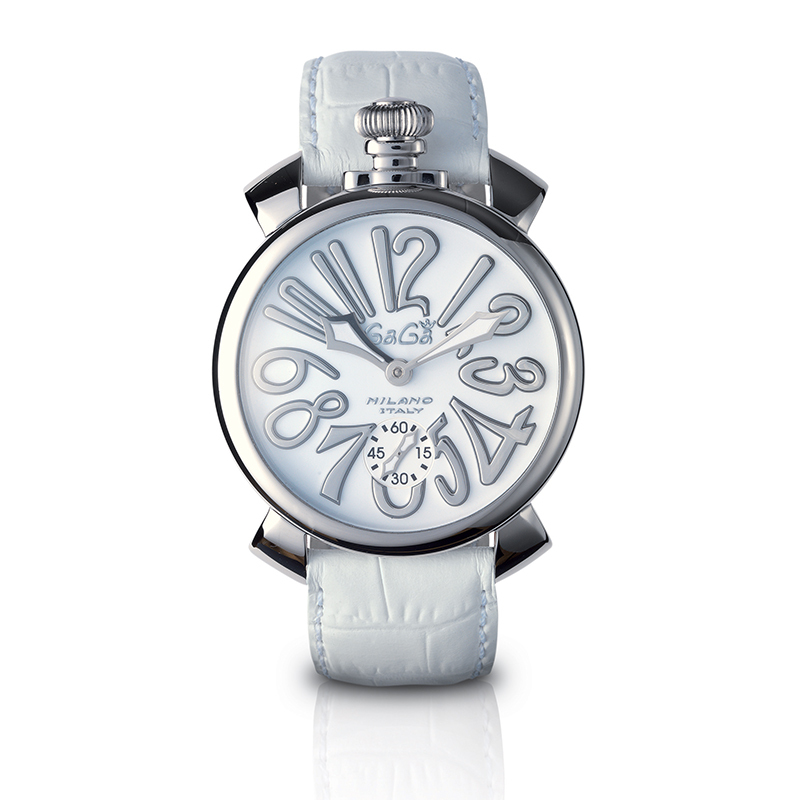 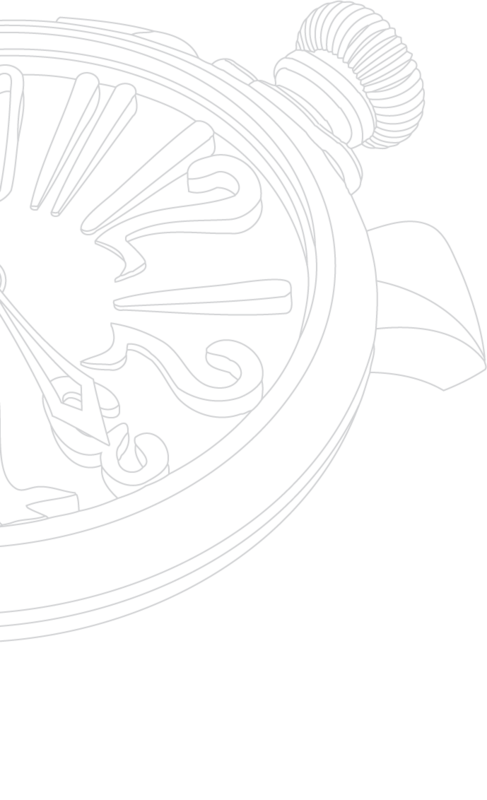 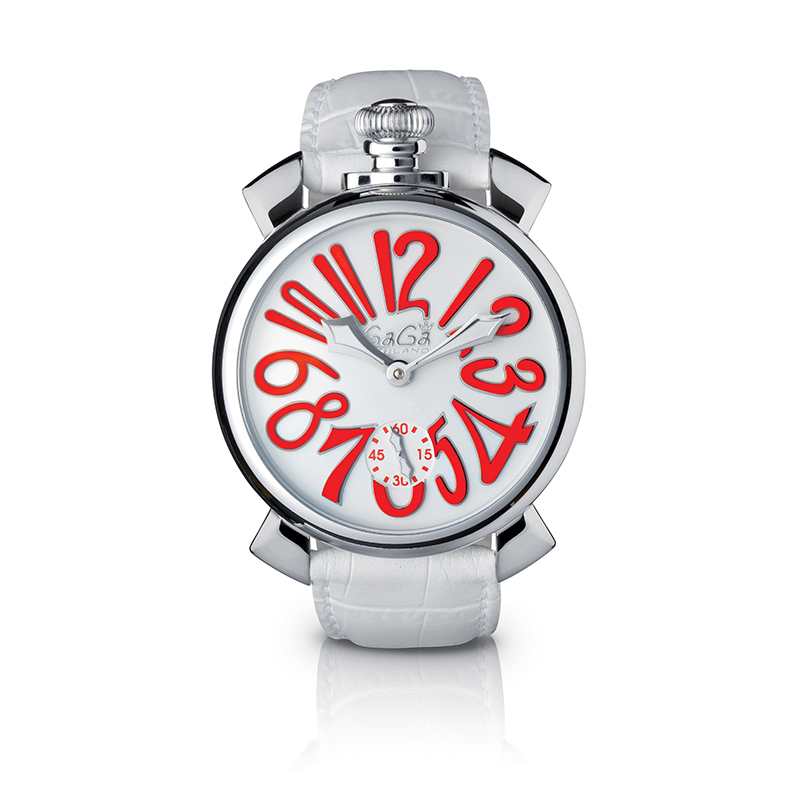 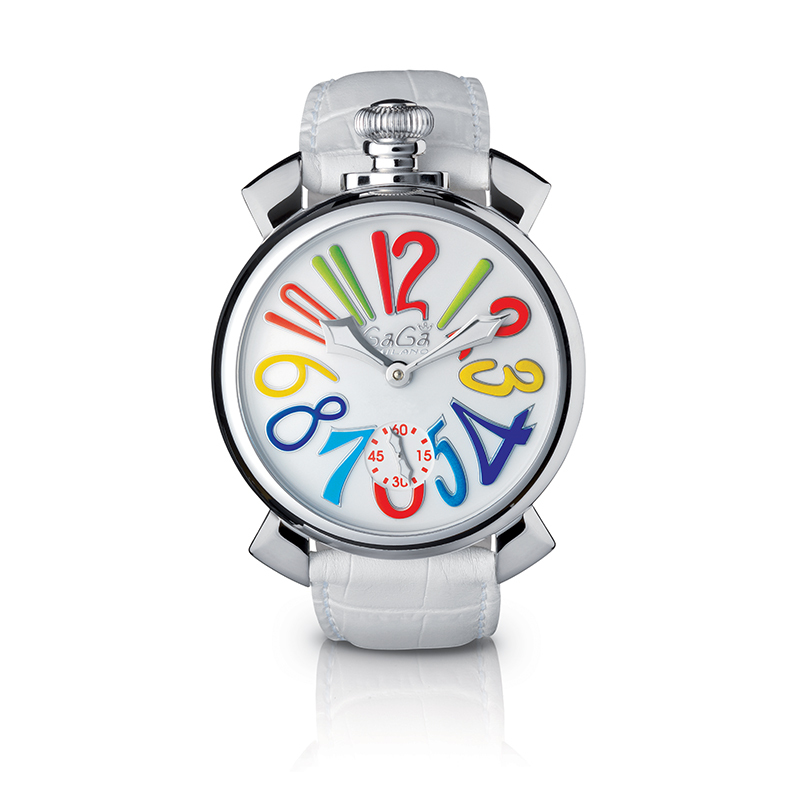 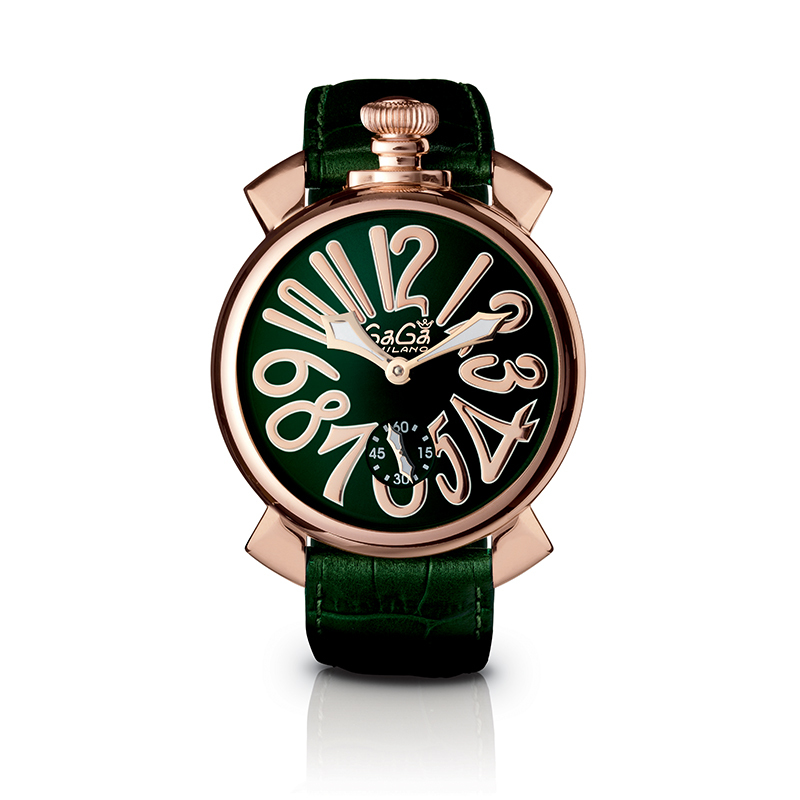 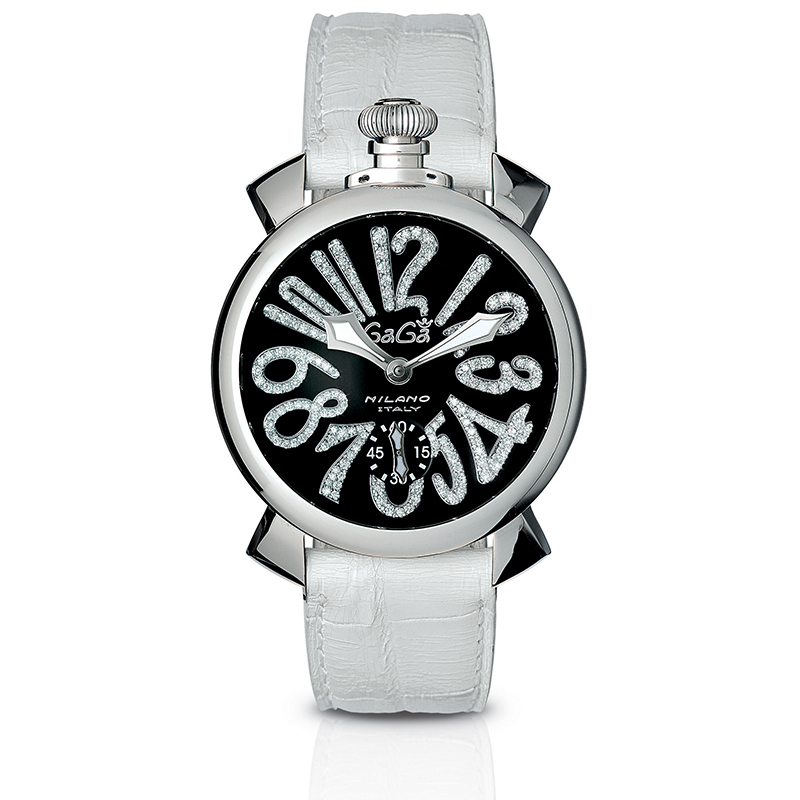 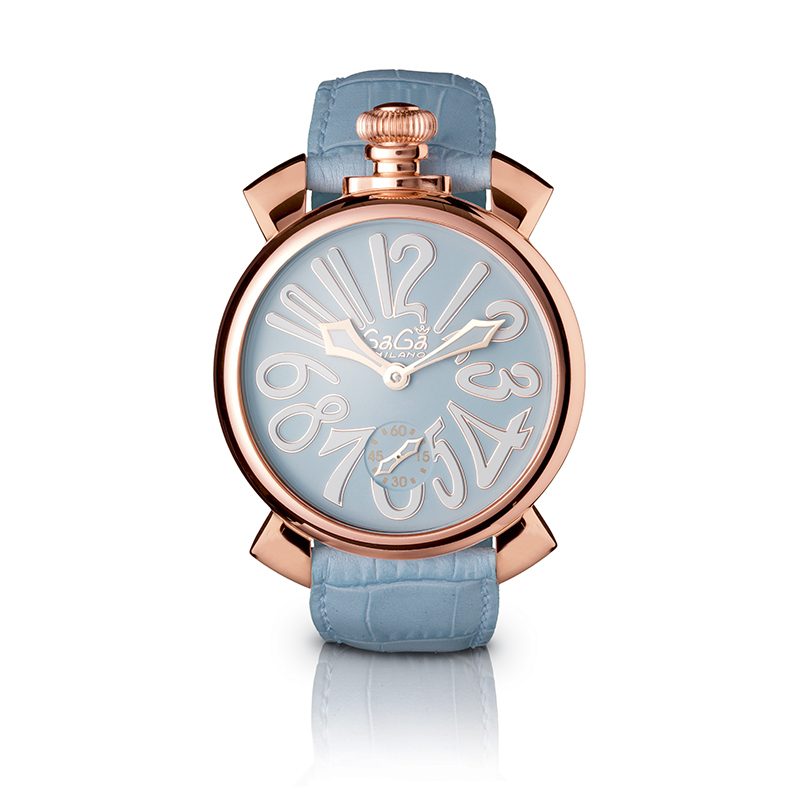 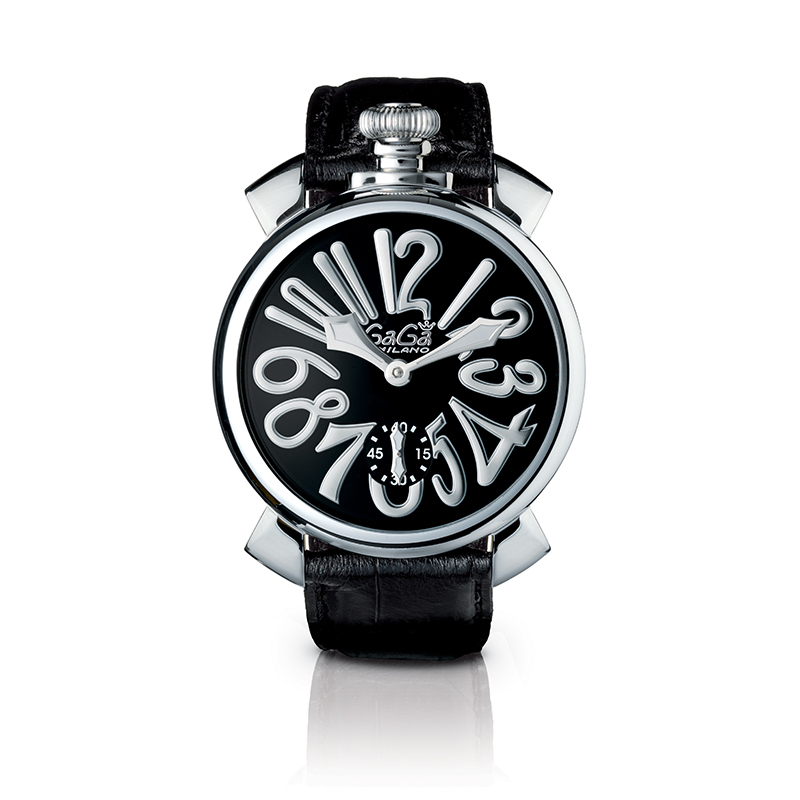 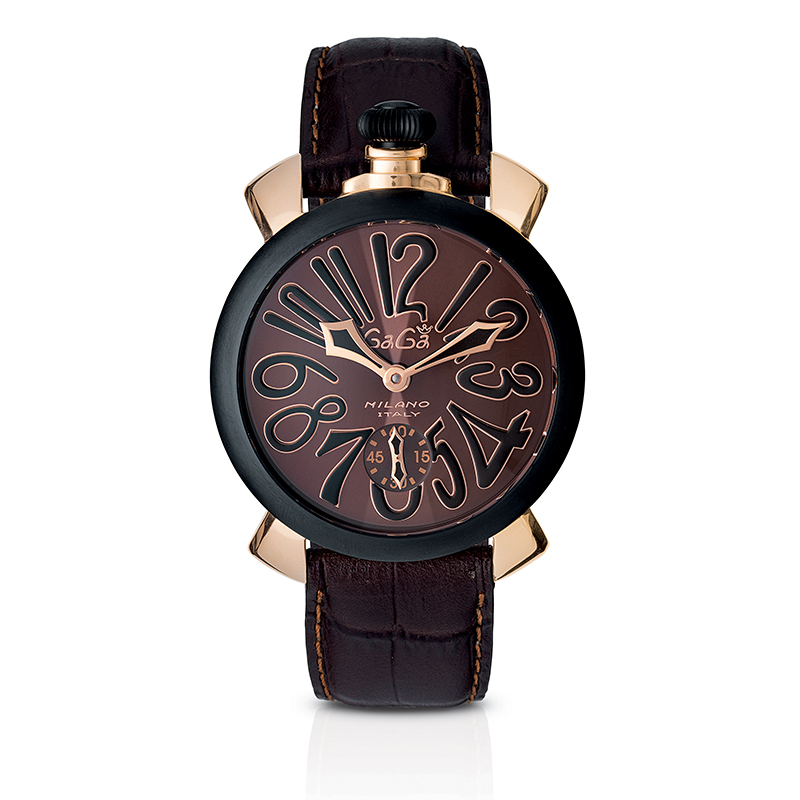 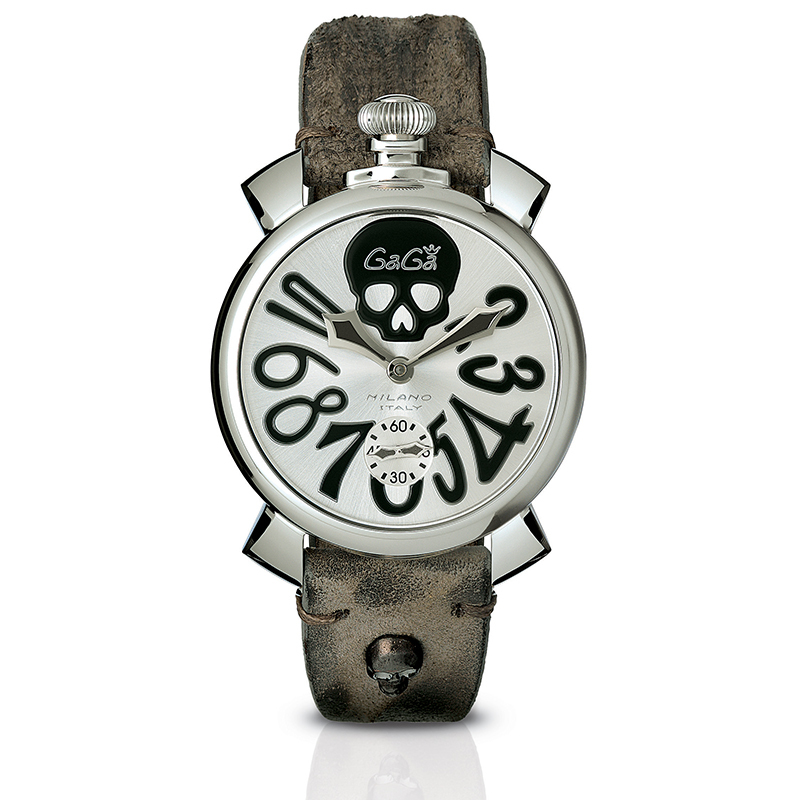 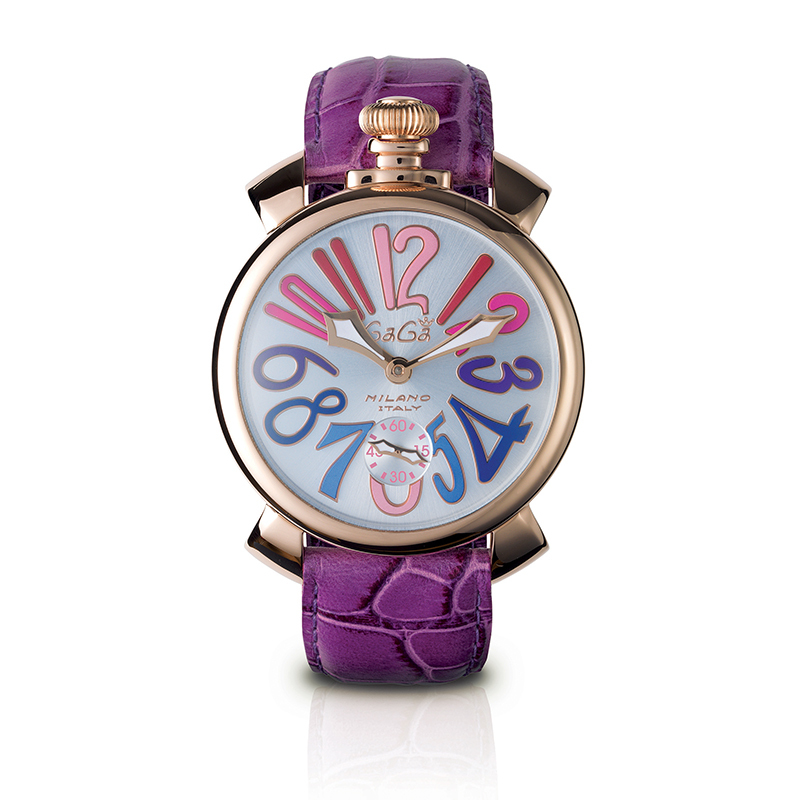 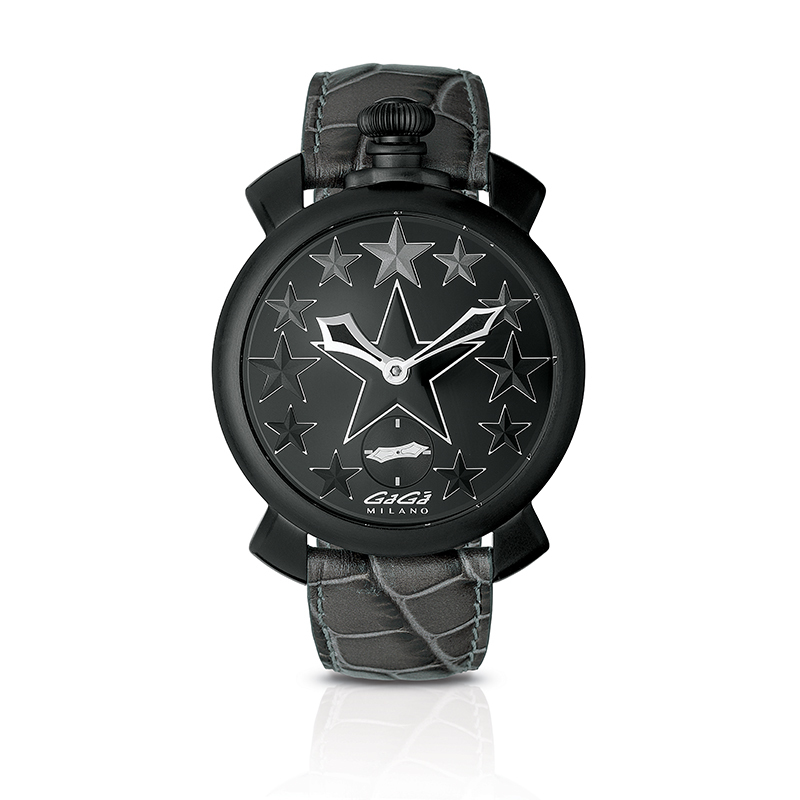 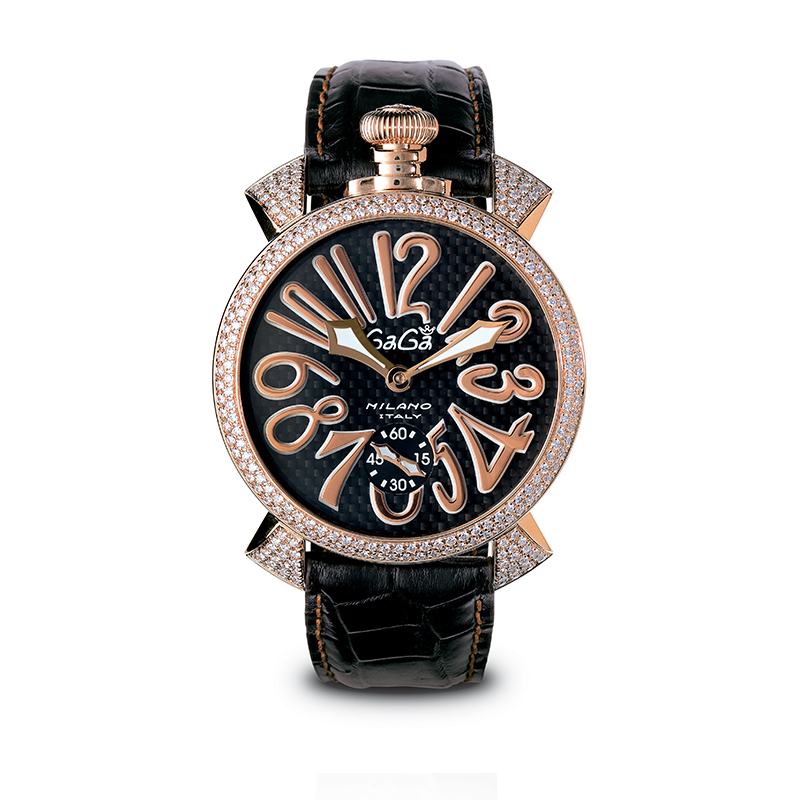 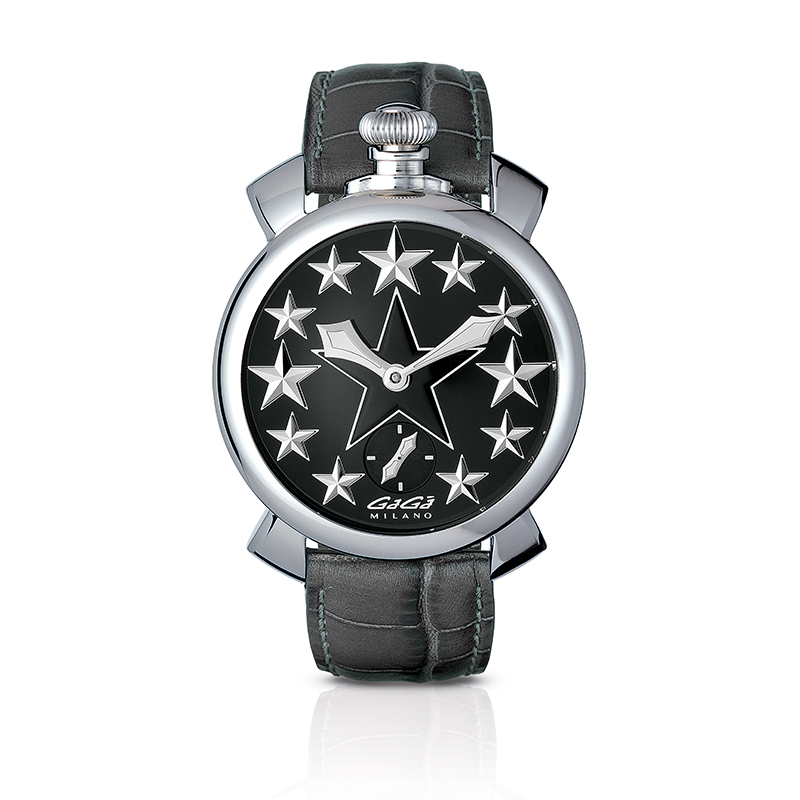 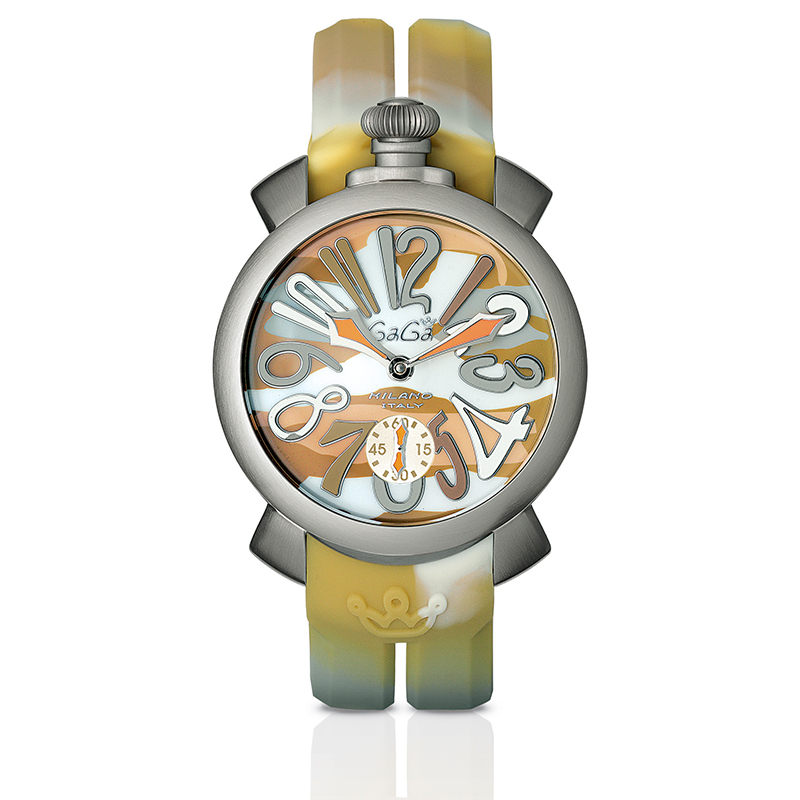 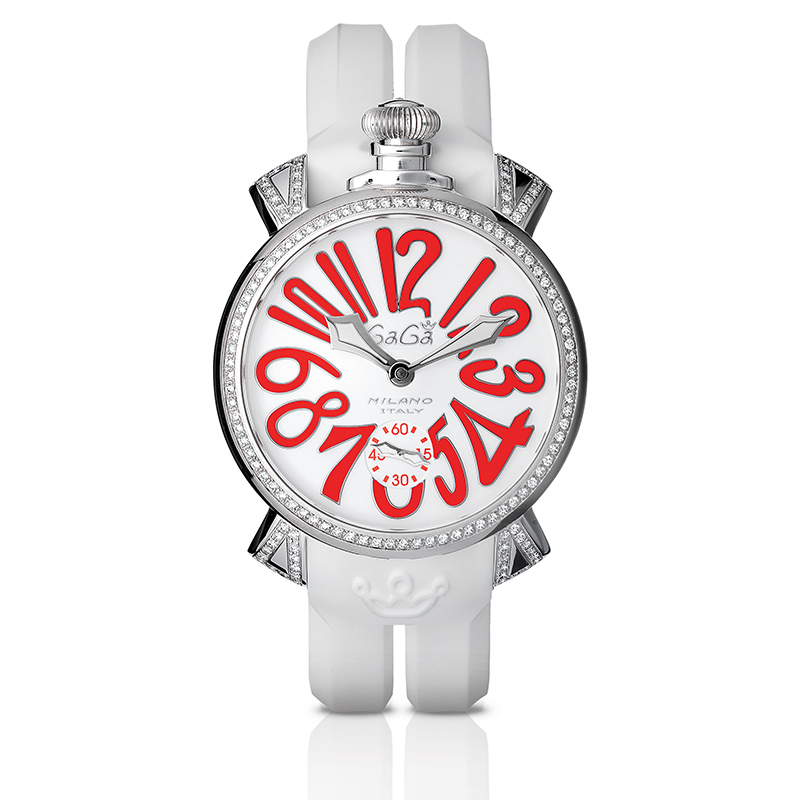 The glazed dial, with its round shape and embossed numbers, plays the starring role. A choice of great distinction: daring shapes and astonishing colours. 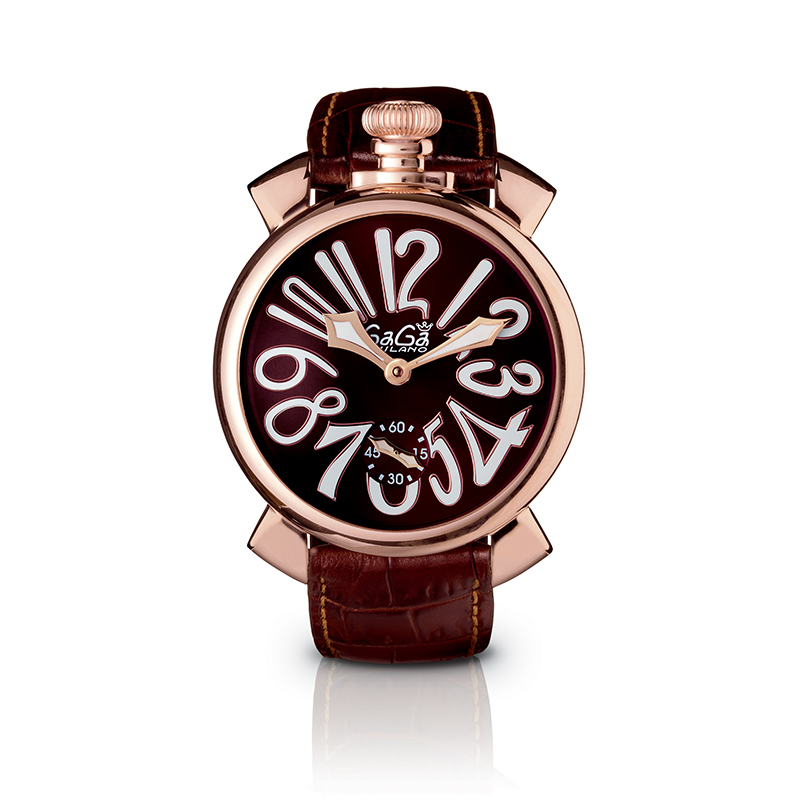 A refined choice of style, that meets the old flavour of the past. 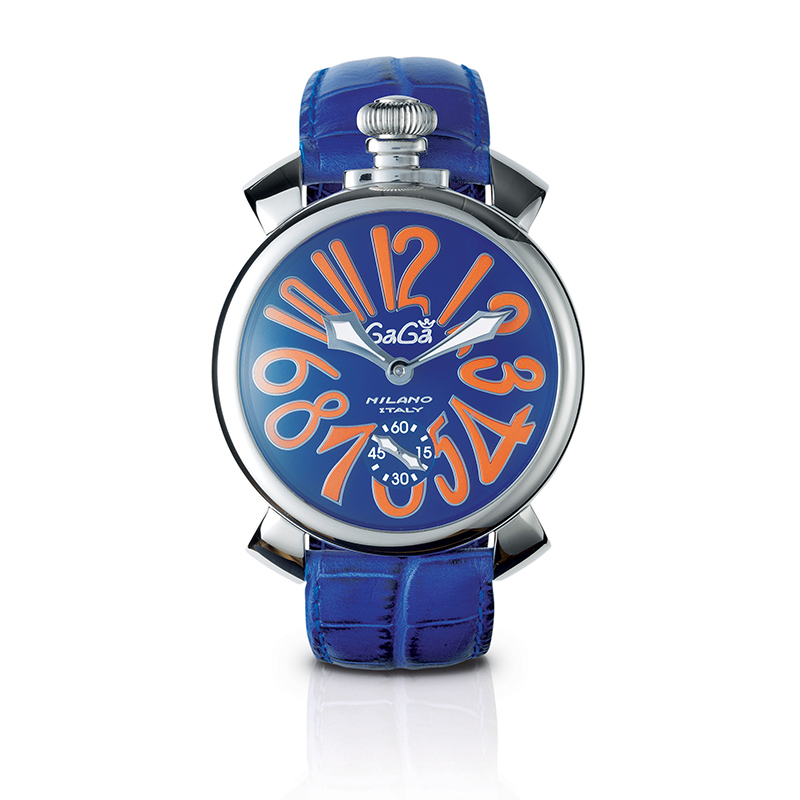  In GaGà collection, not to miss, models with diamonds, stainless carbon fiber, real jewels, for male and female customers even more demanding. 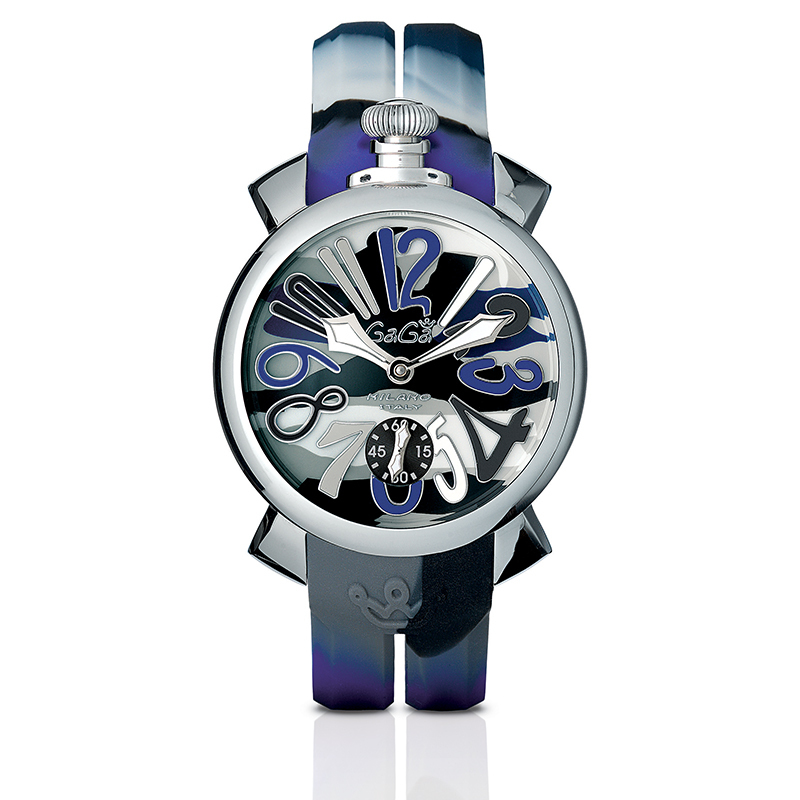 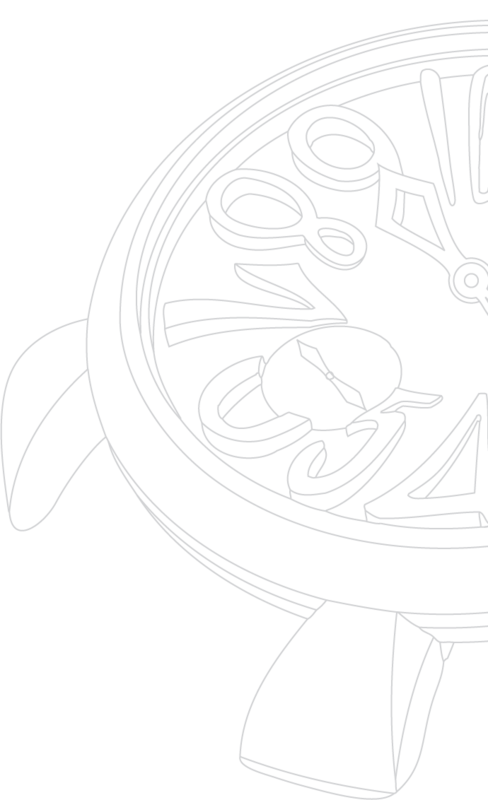 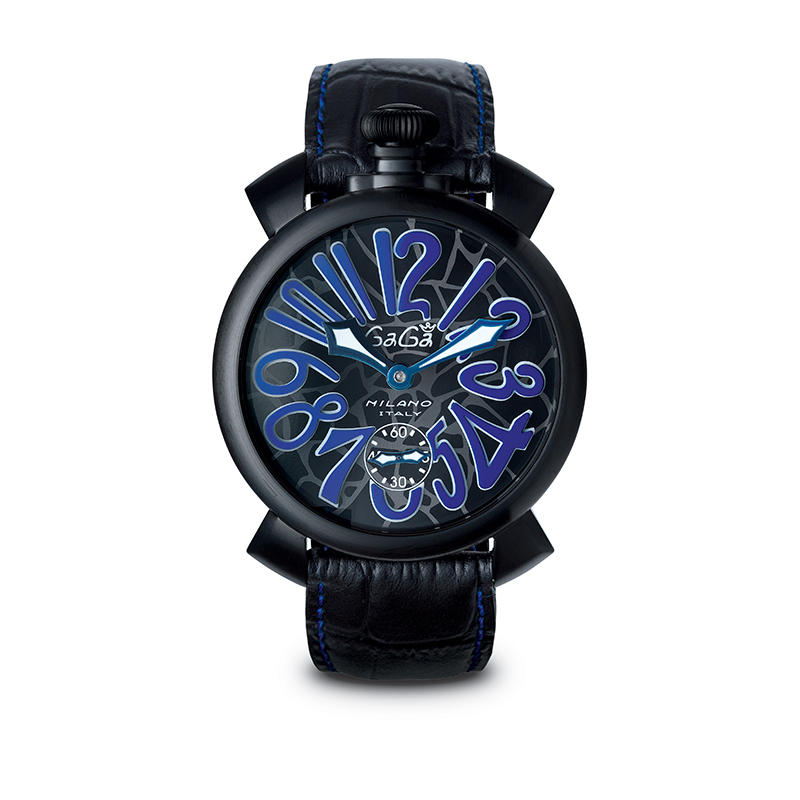 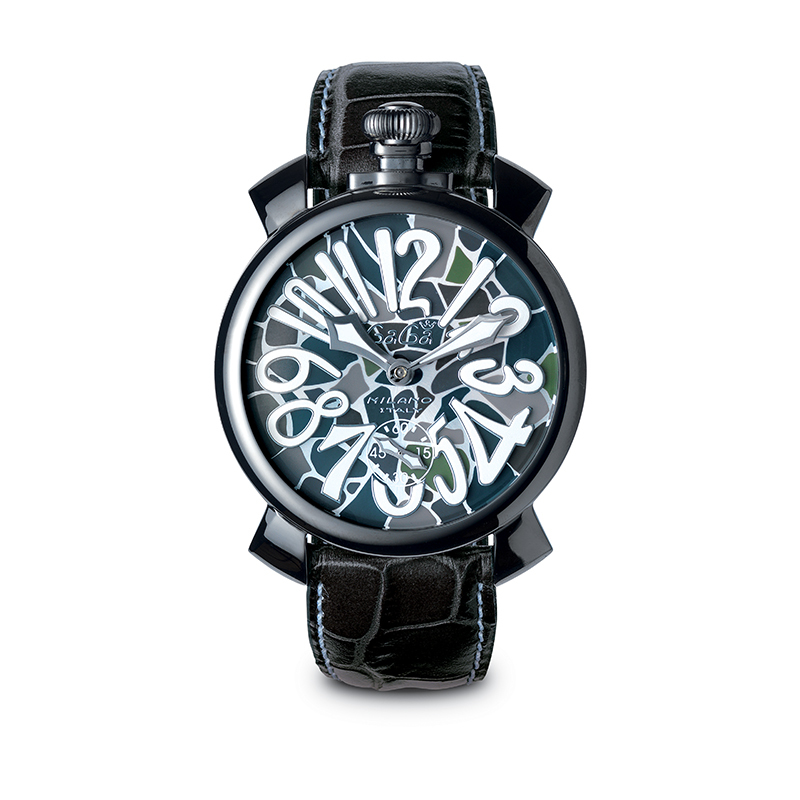 The Swiss made mechanical manual mechanism is fully viewable from the skeleton back case, provided with mineral crystal. 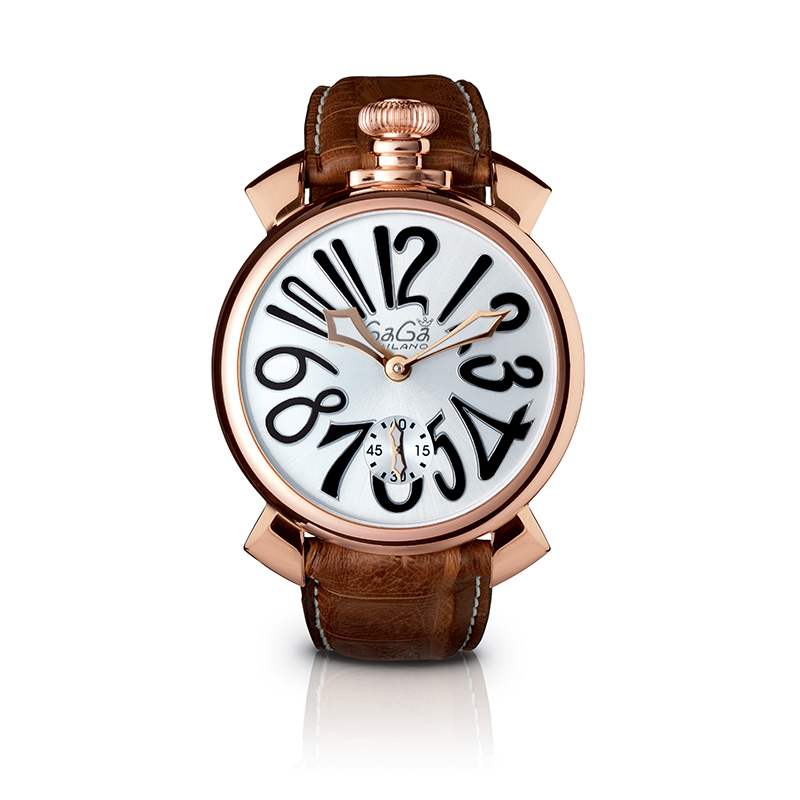 The refined leather straps match the different case and dial versions.